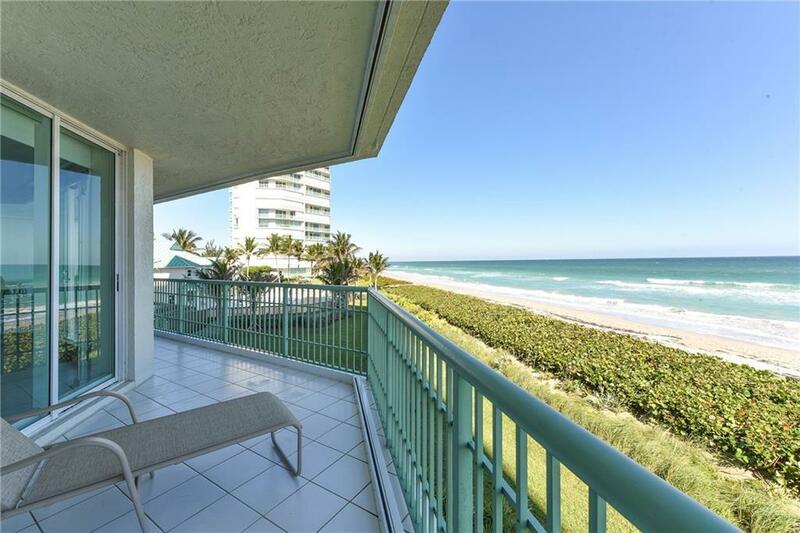 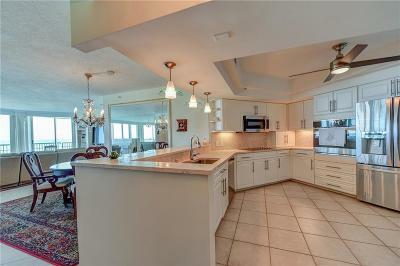 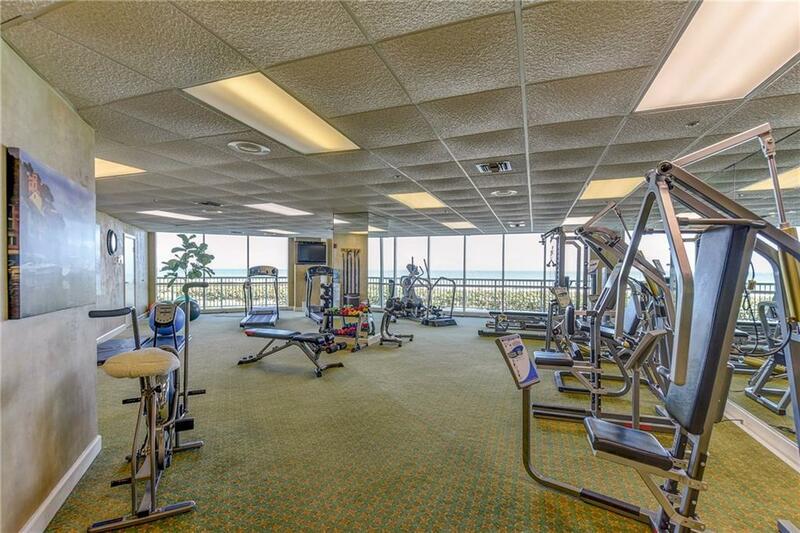 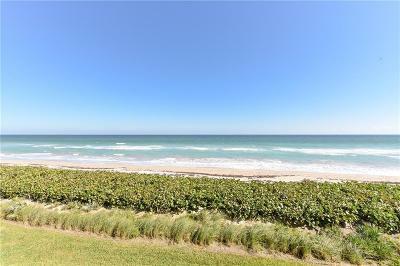 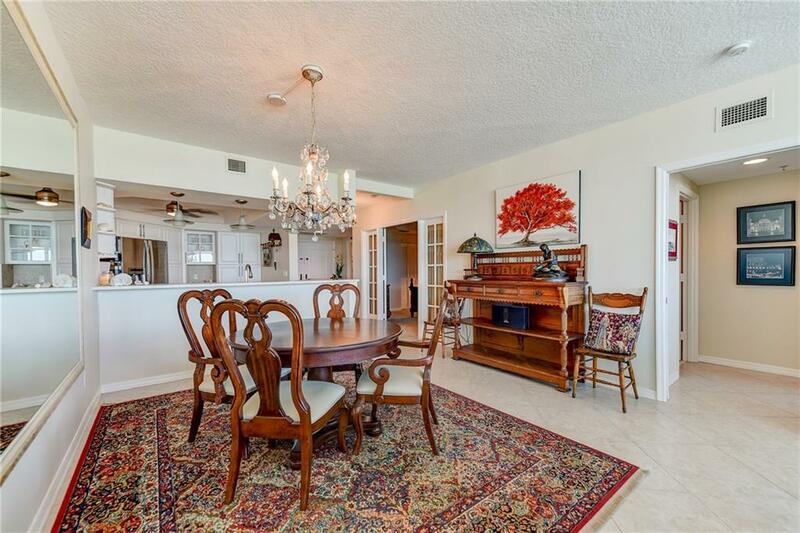 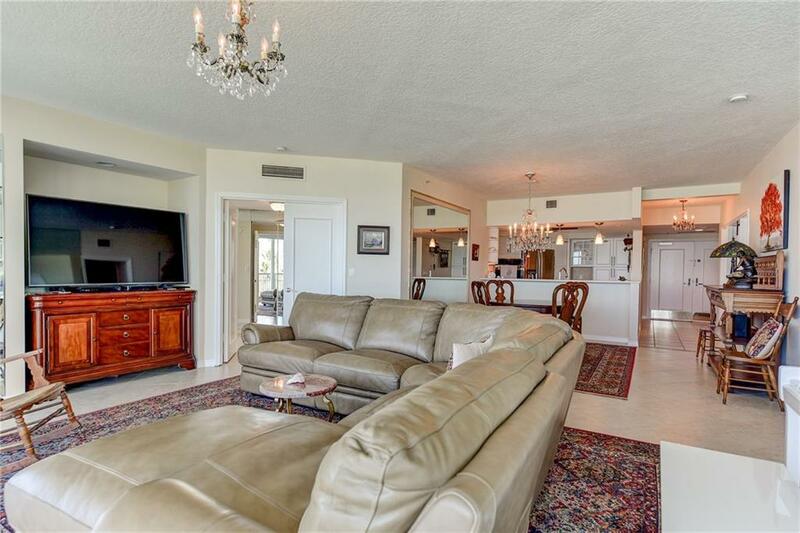 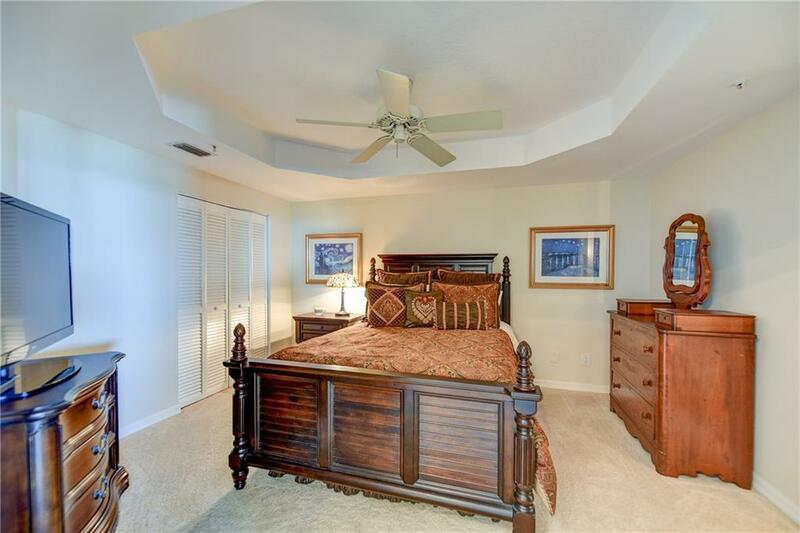 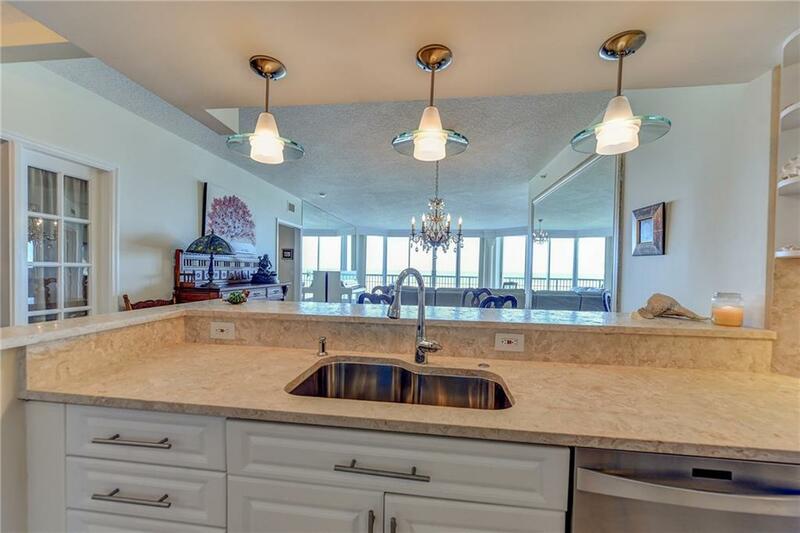 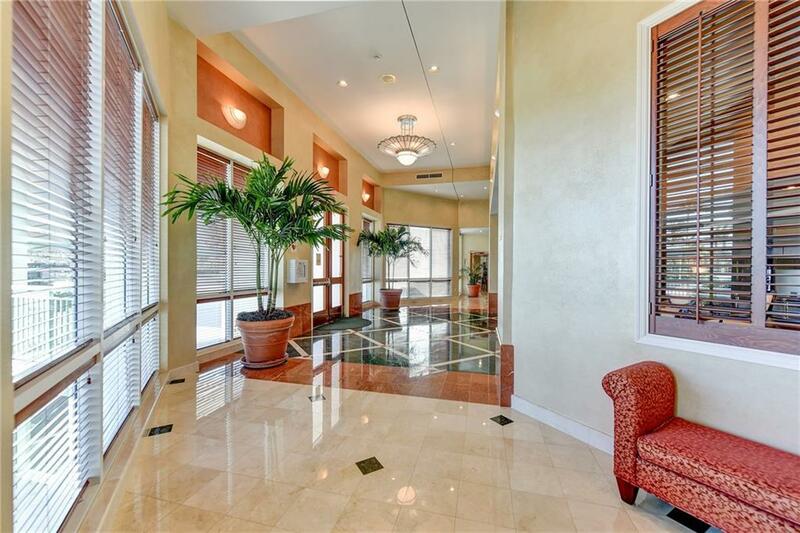 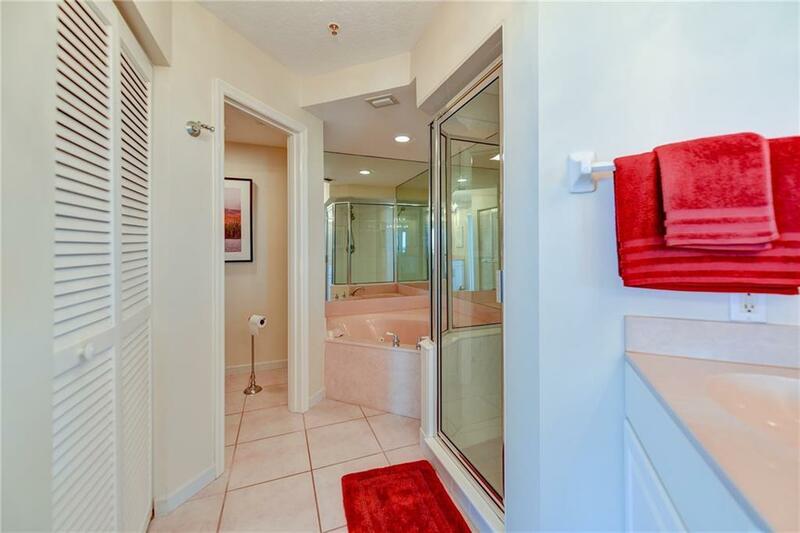 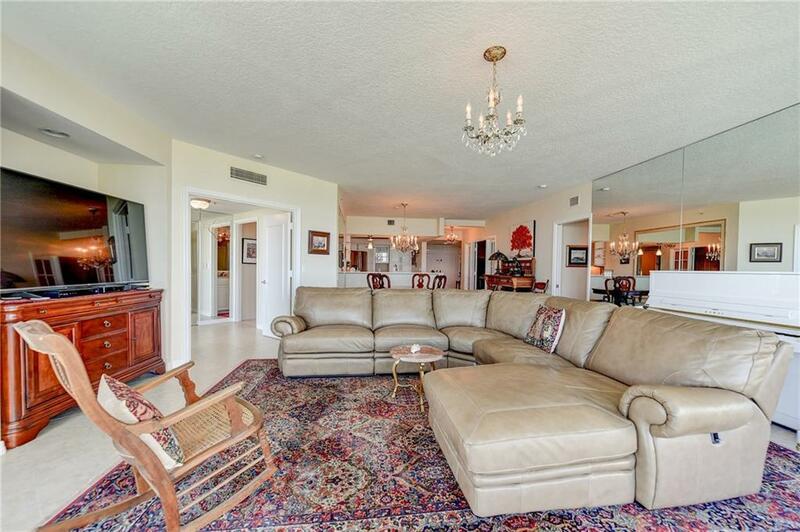 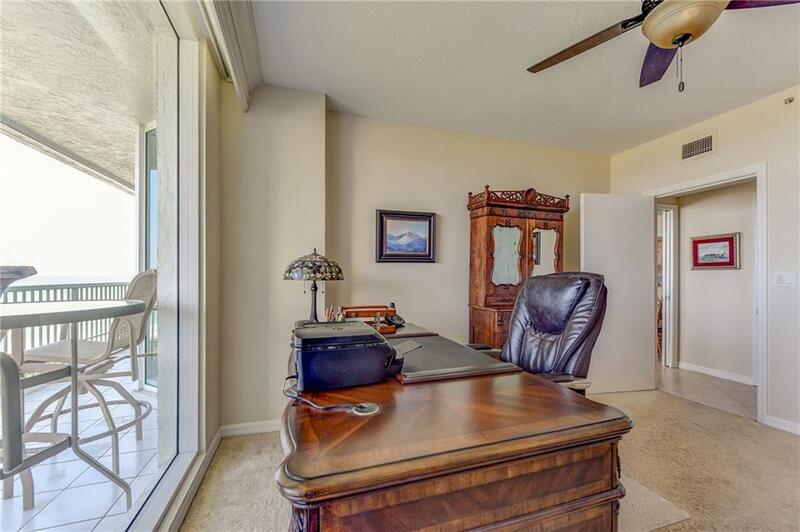 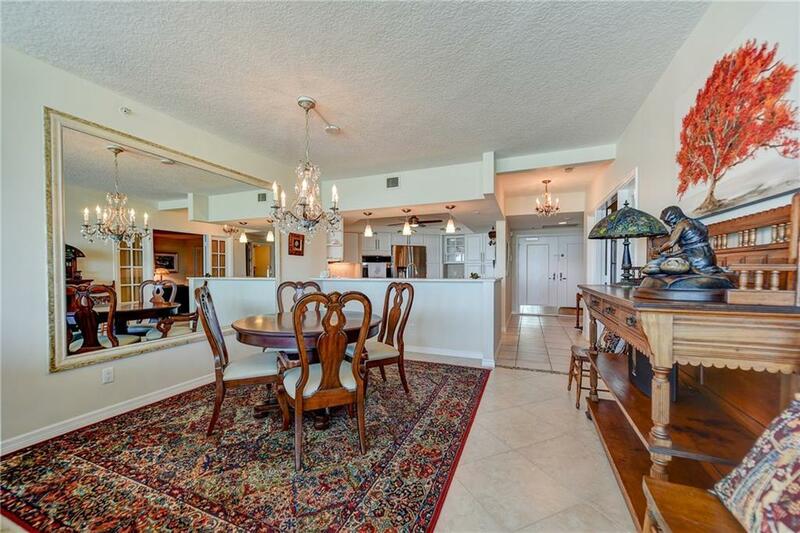 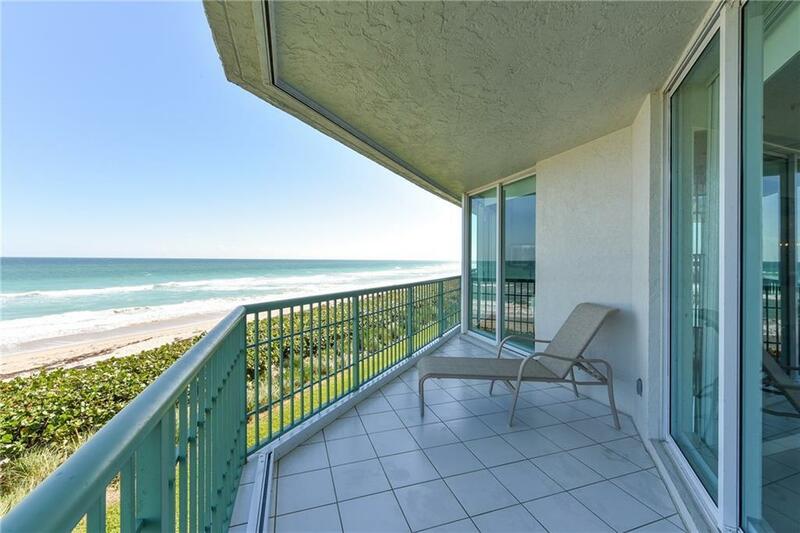 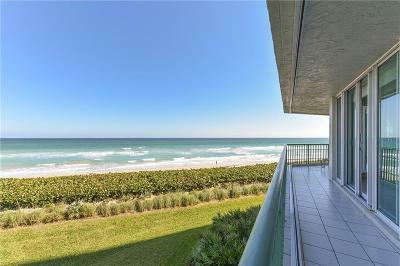 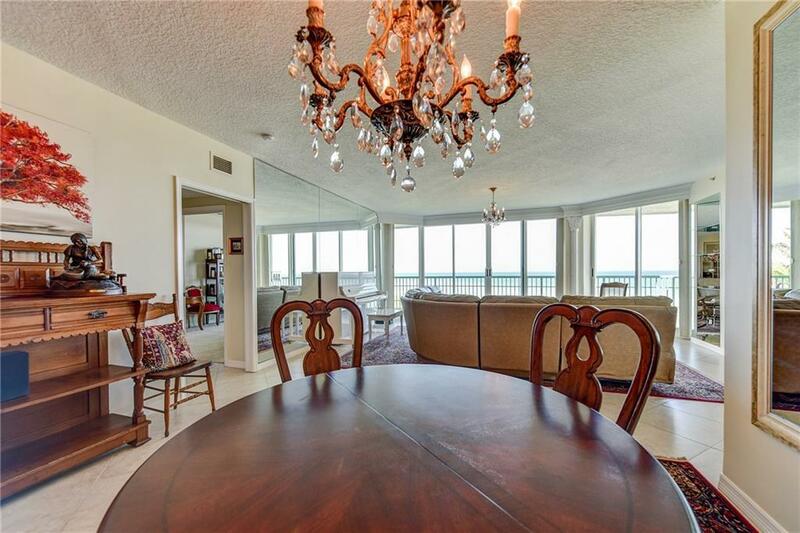 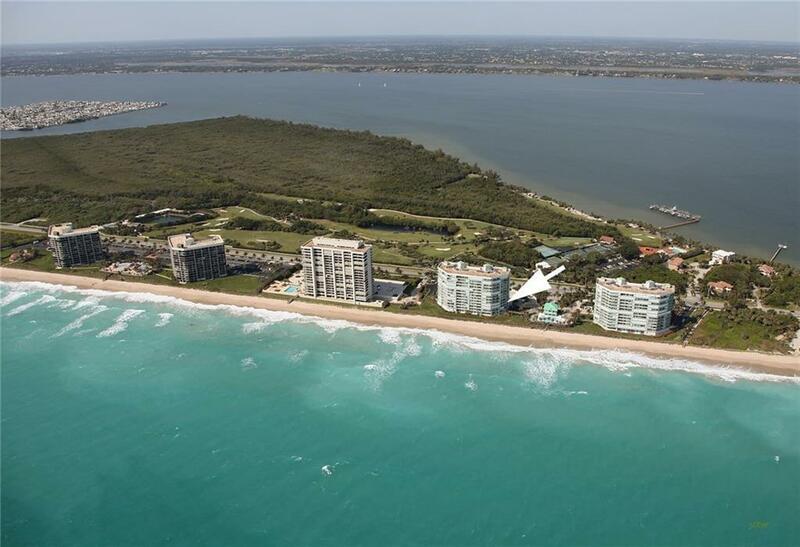 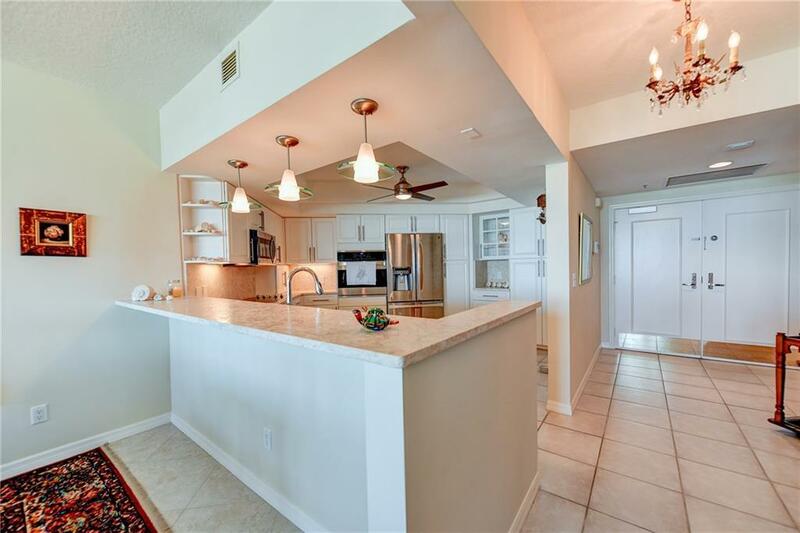 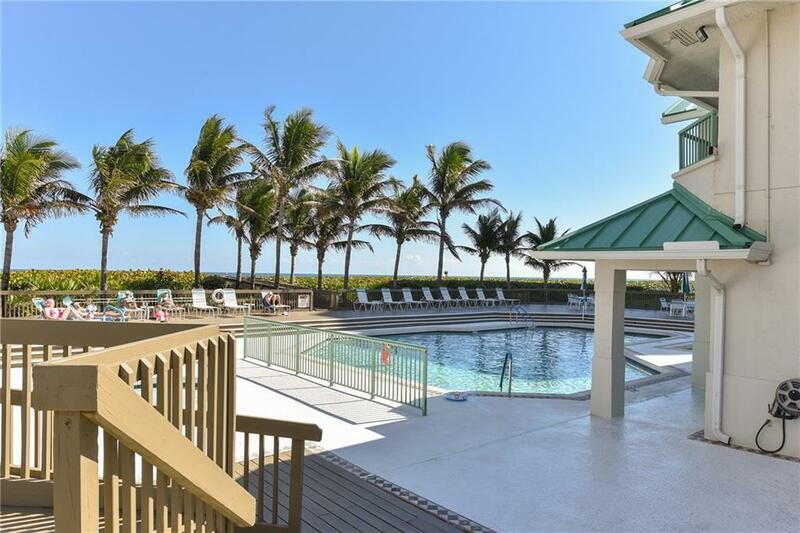 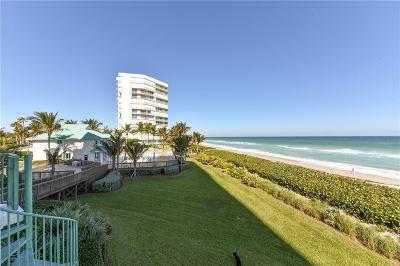 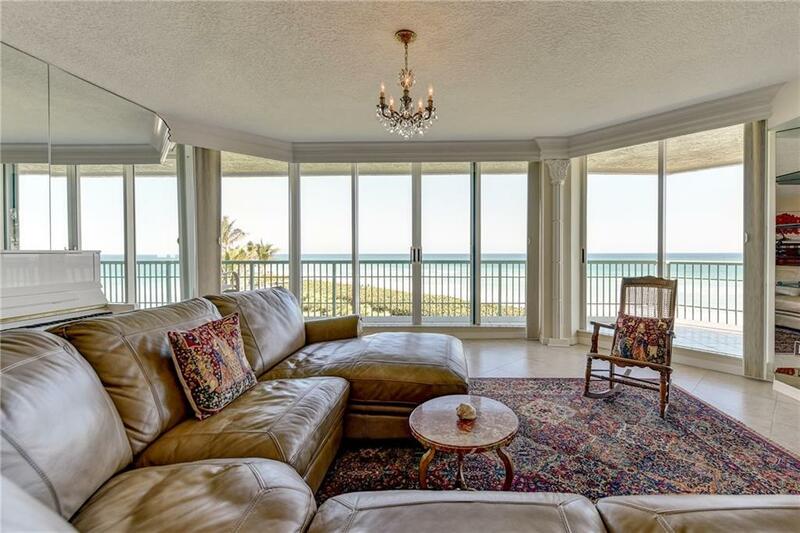 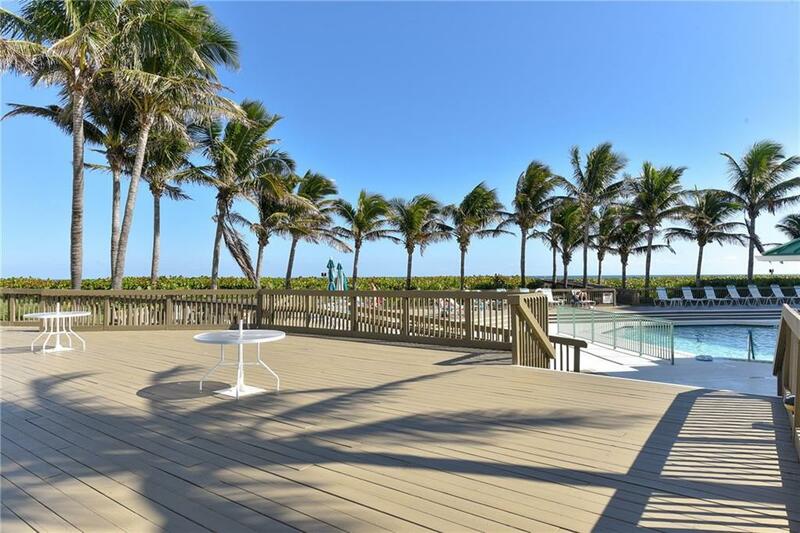 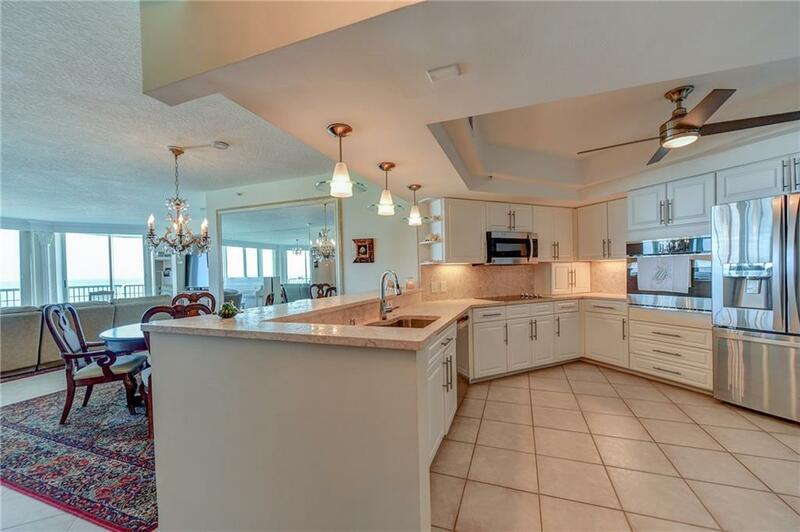 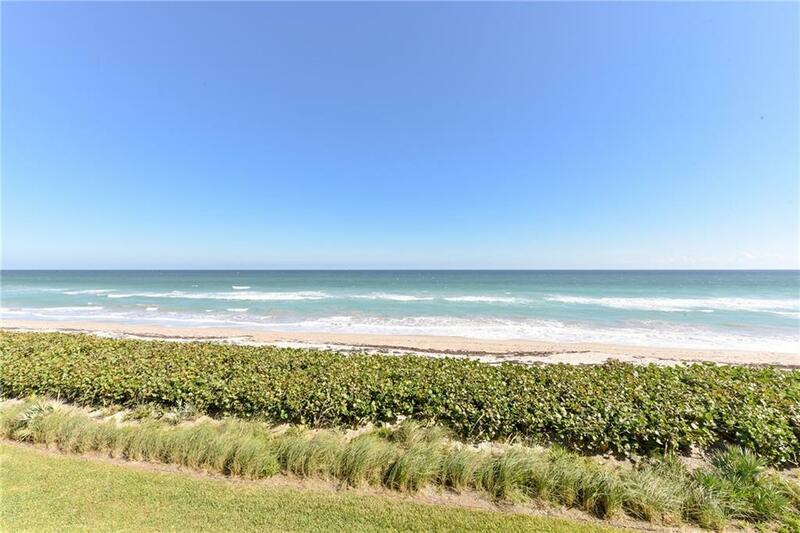 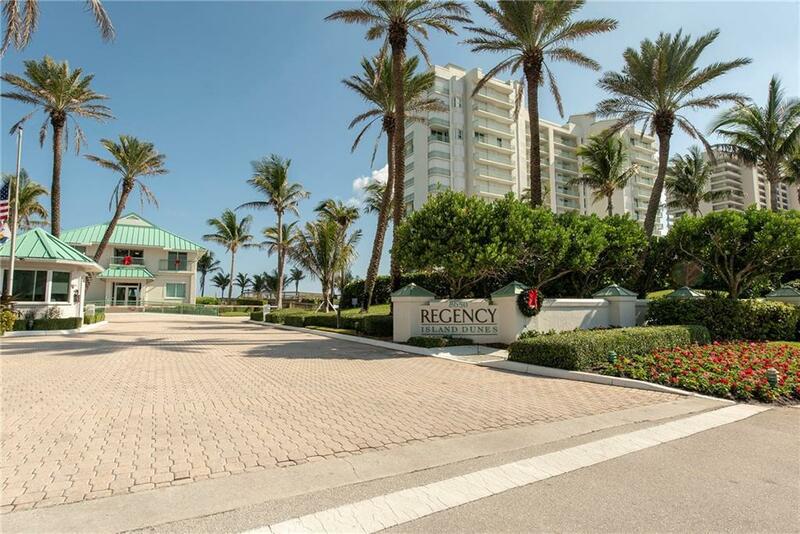 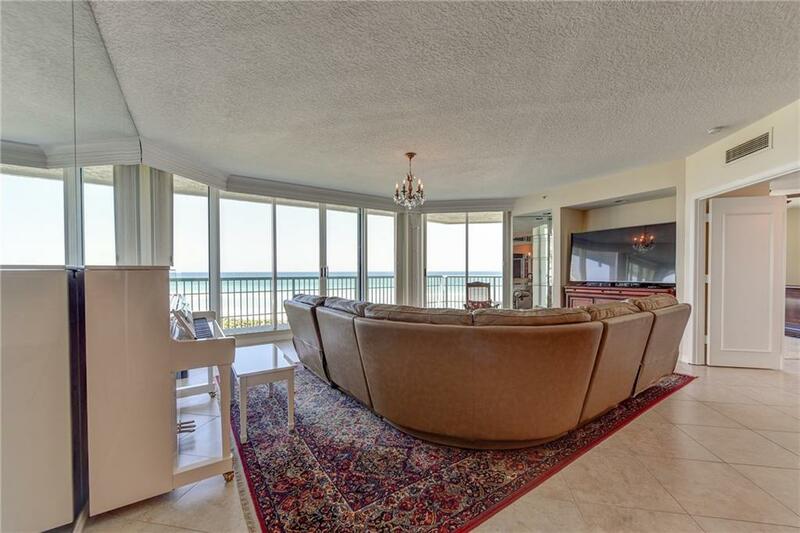 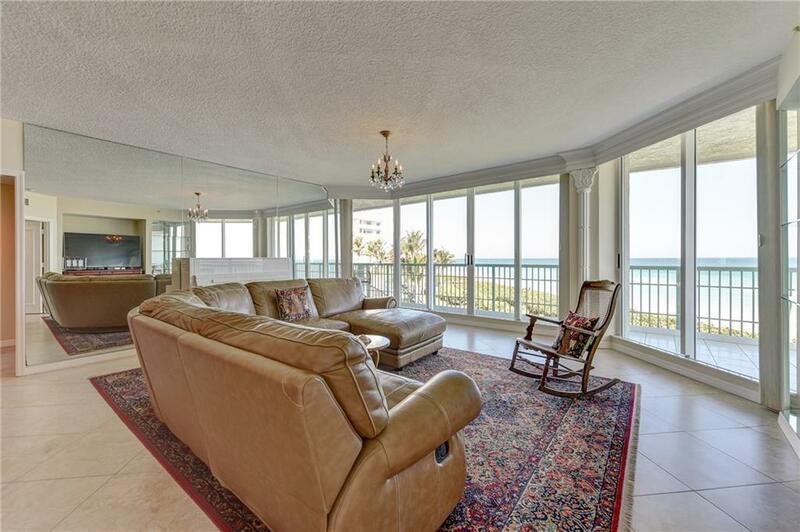 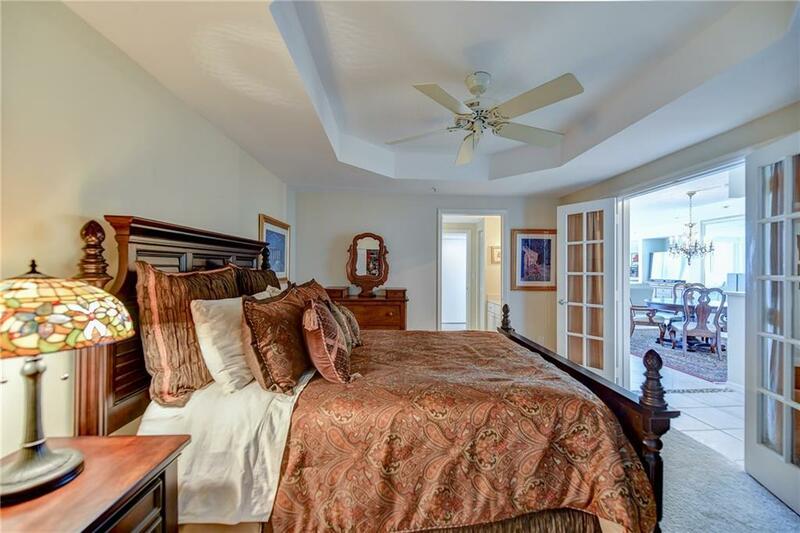 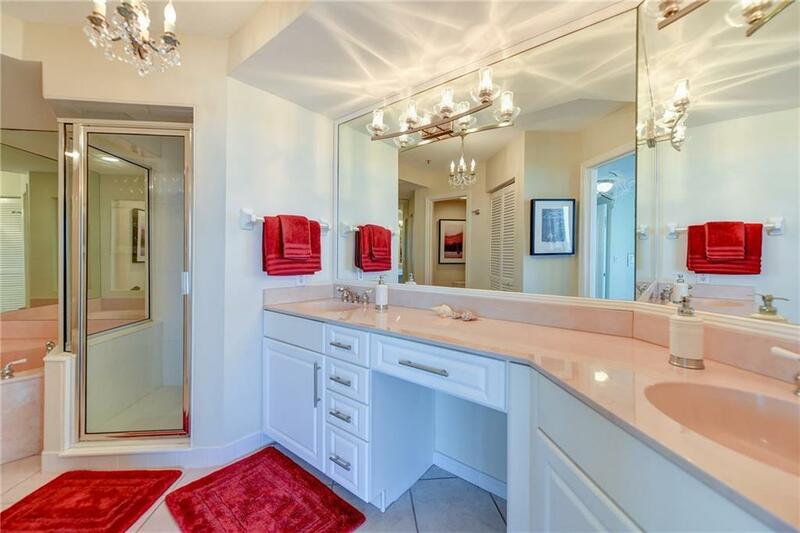 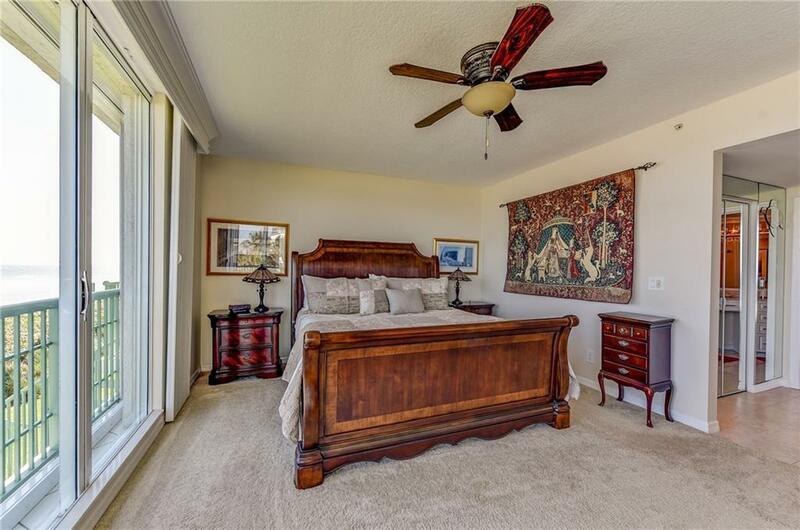 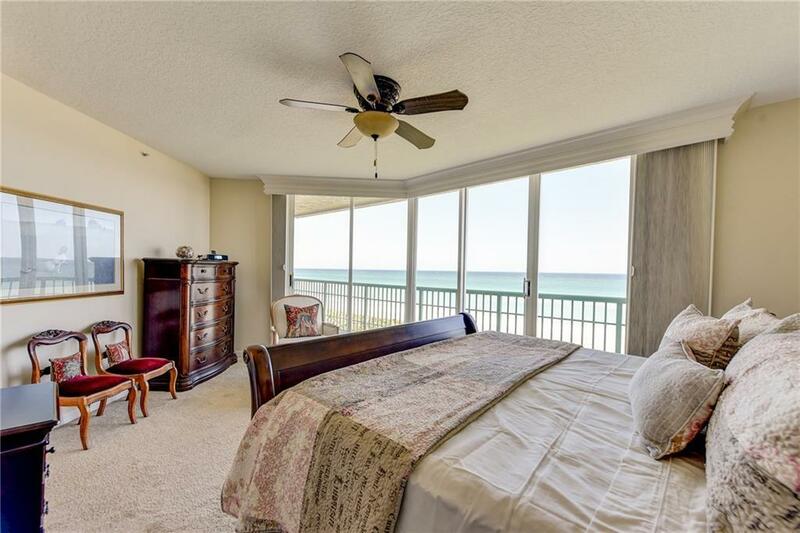 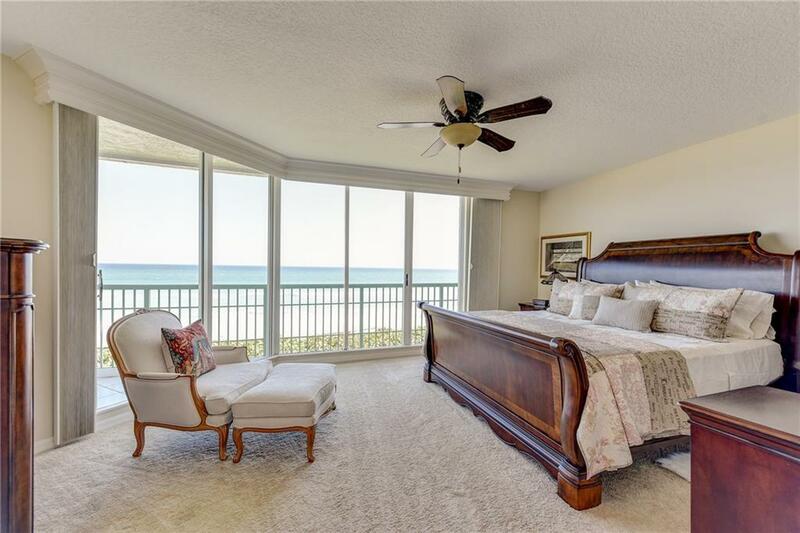 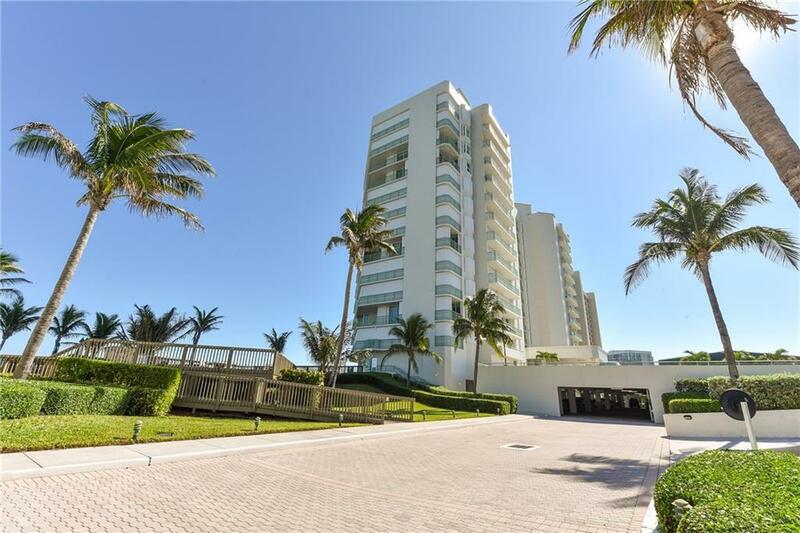 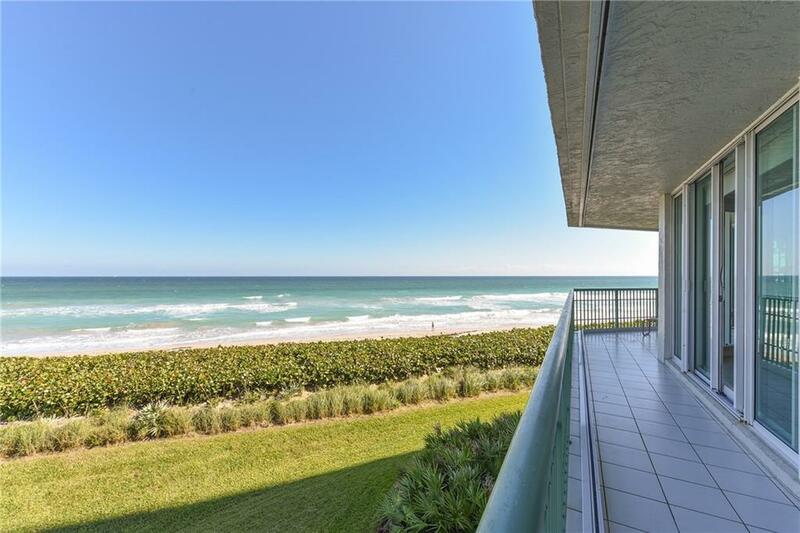 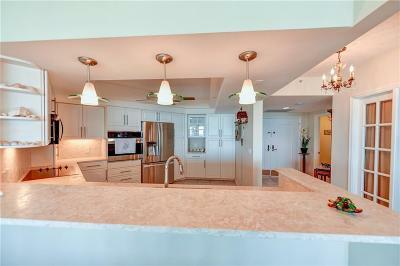 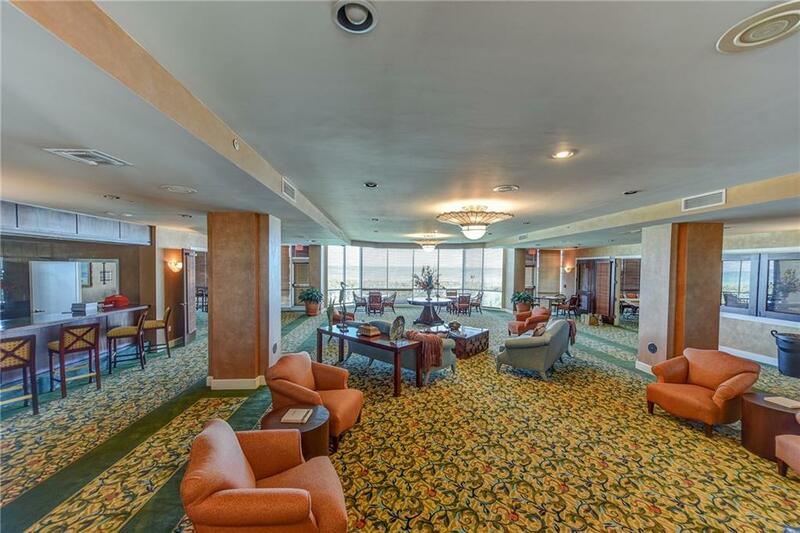 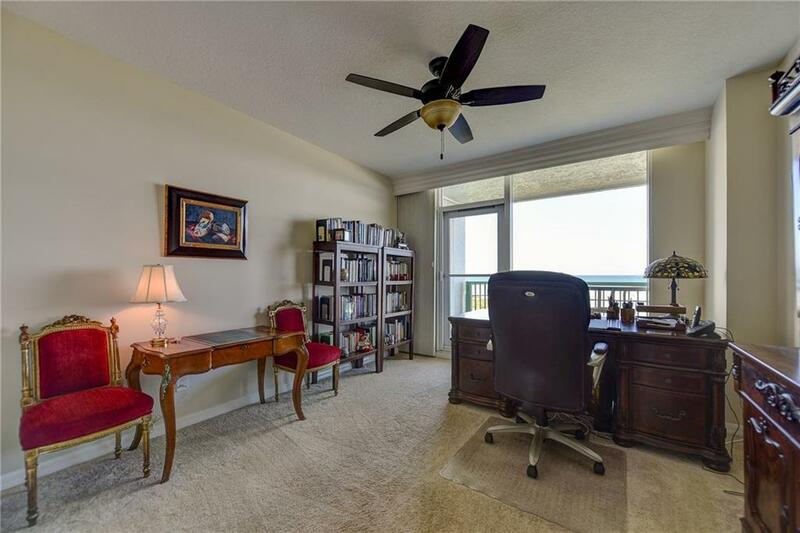 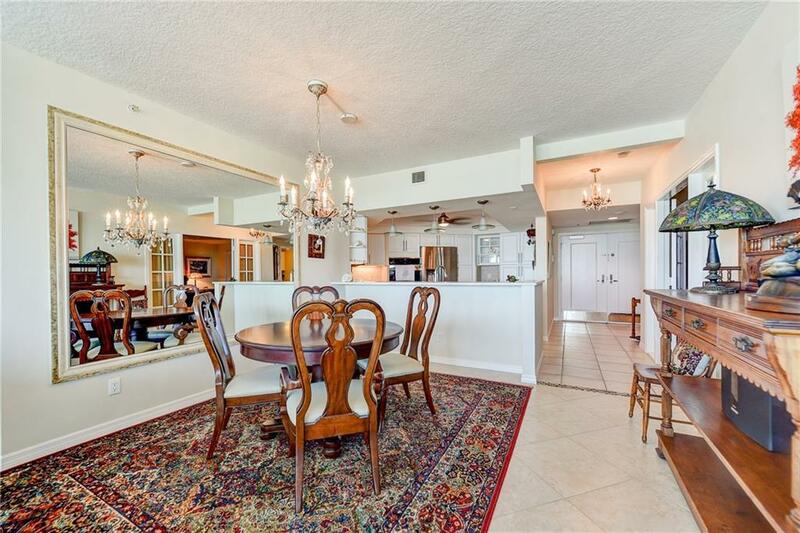 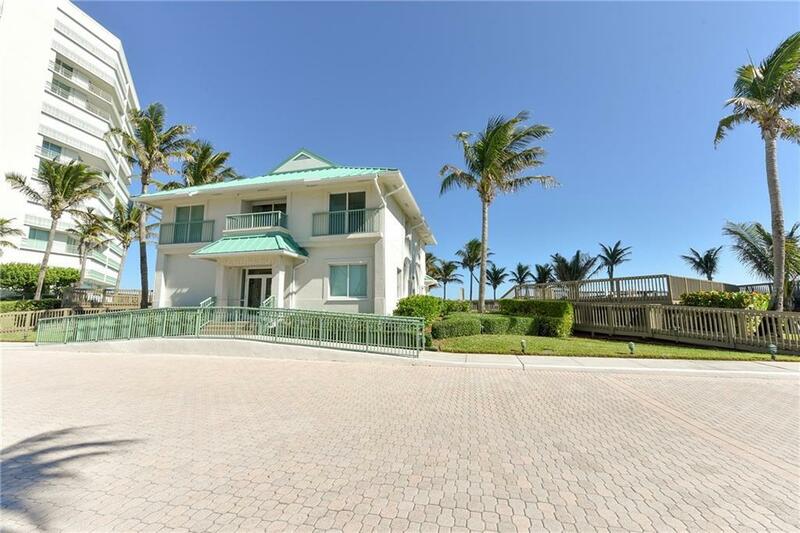 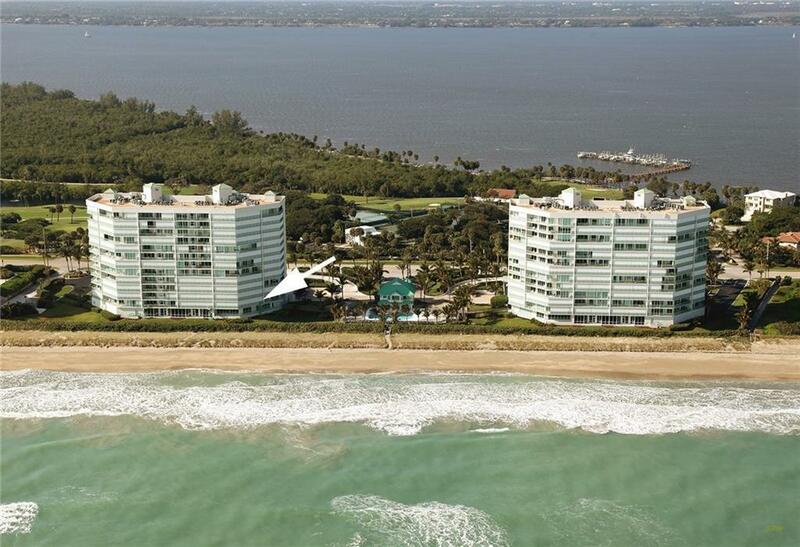 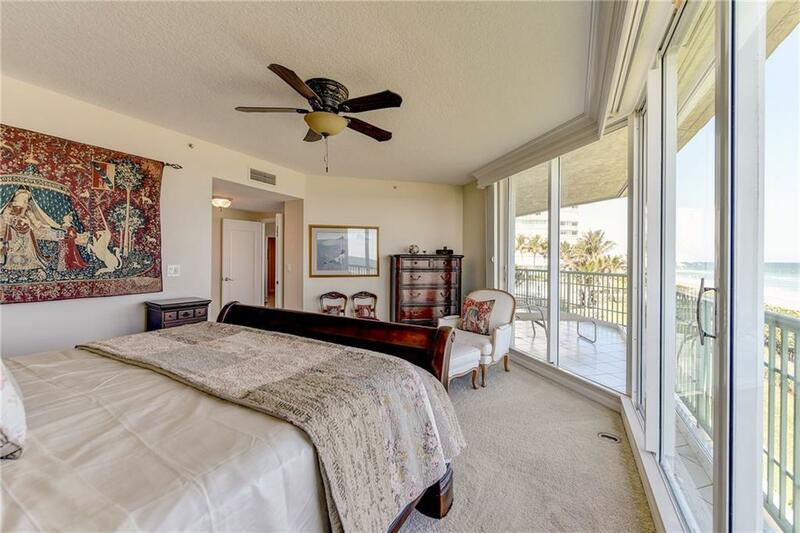 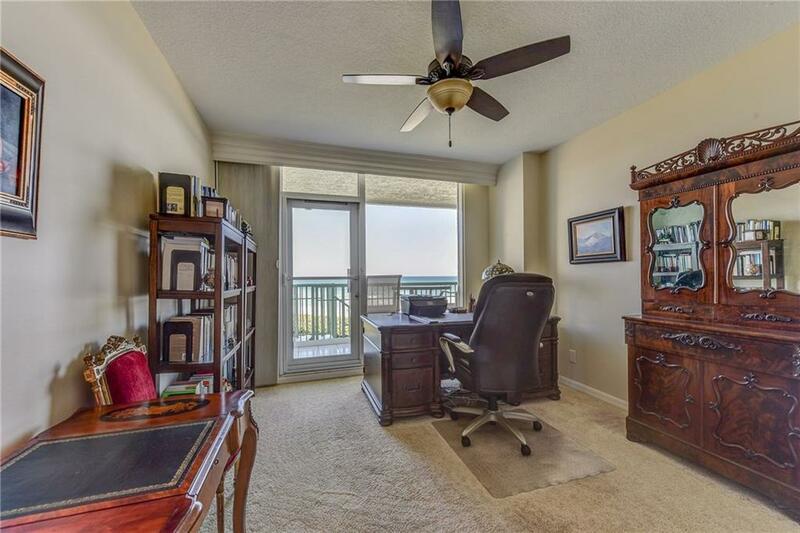 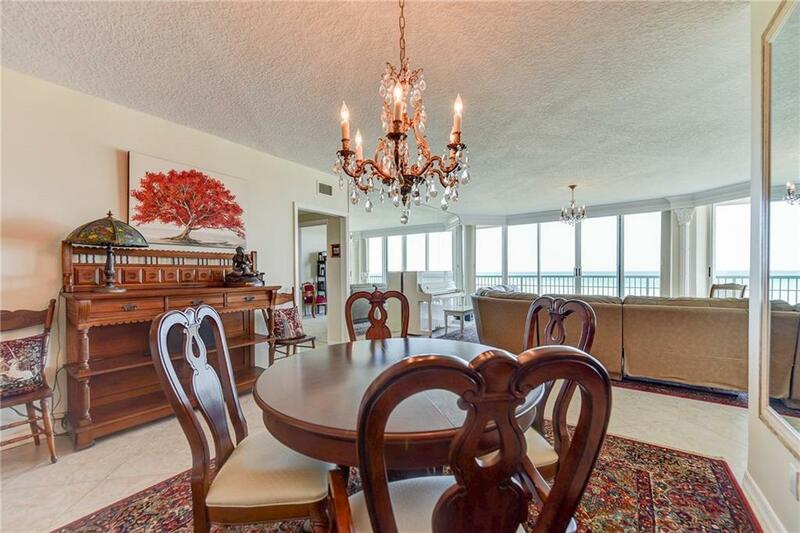 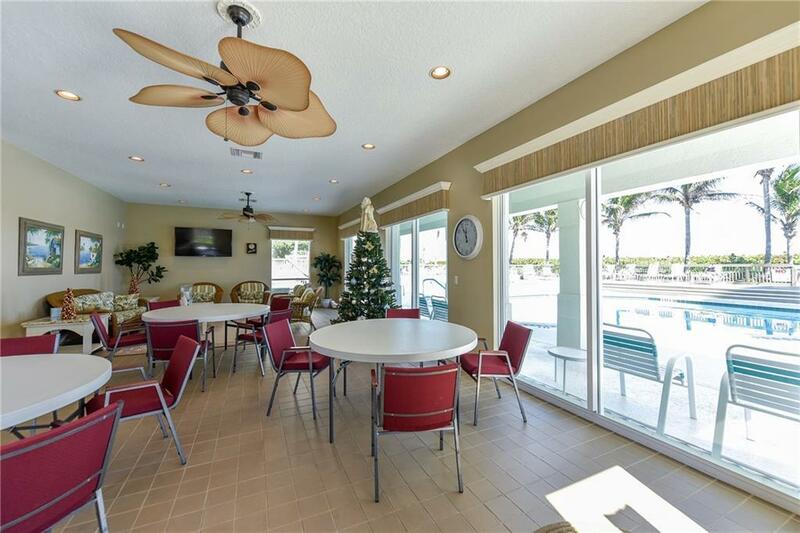 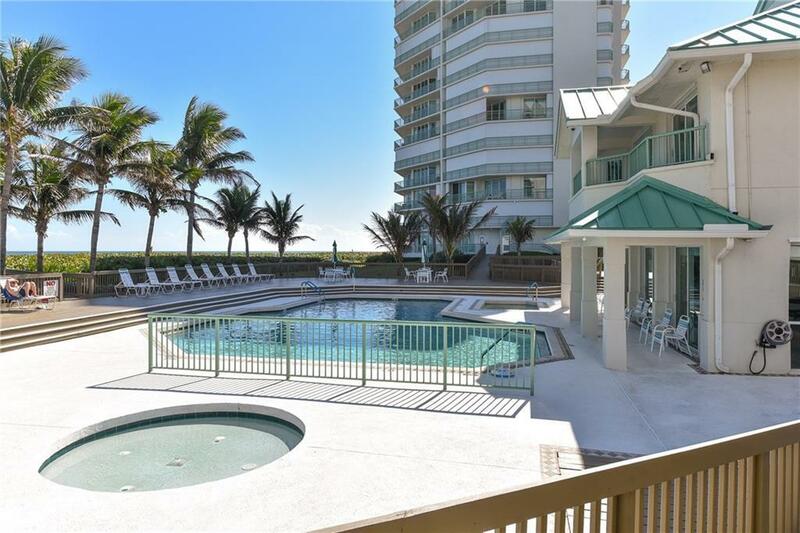 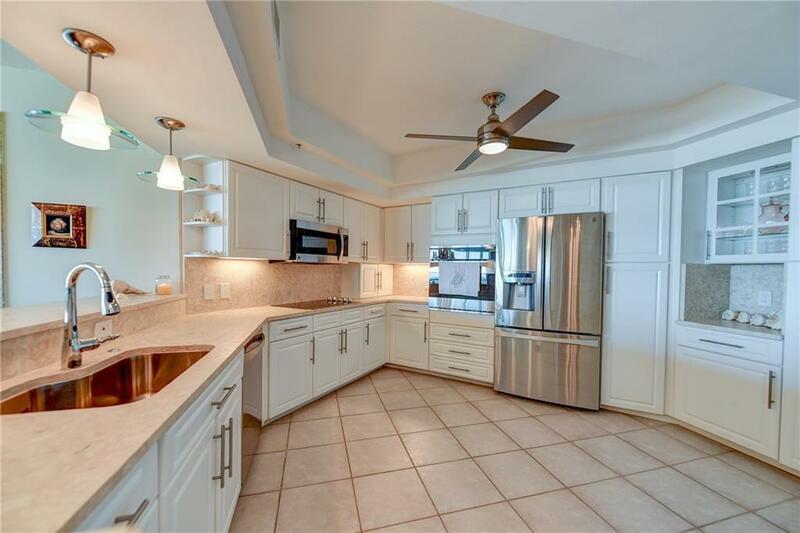 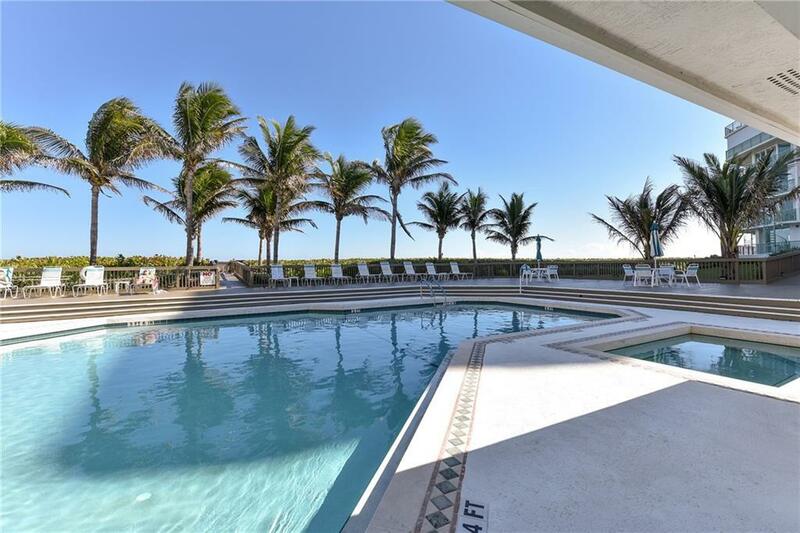 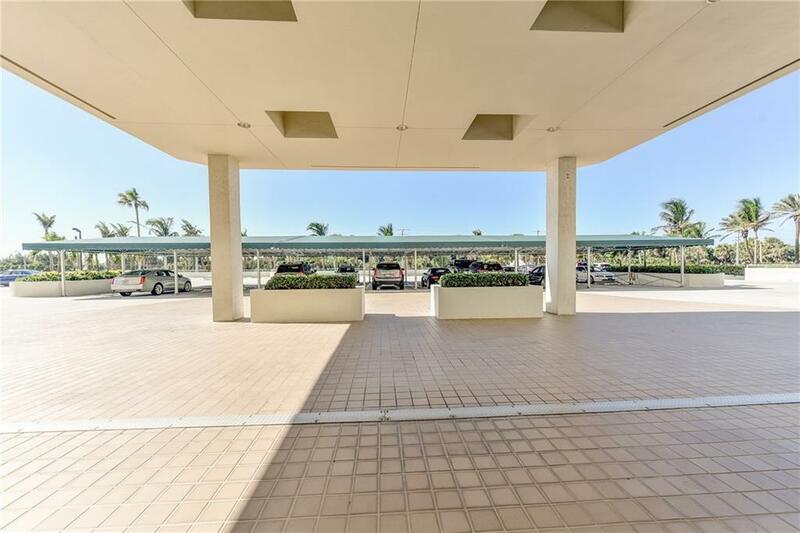 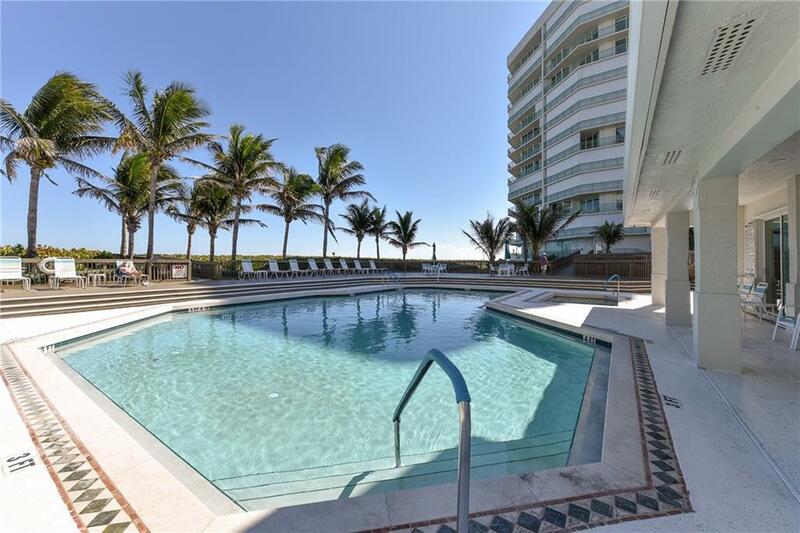 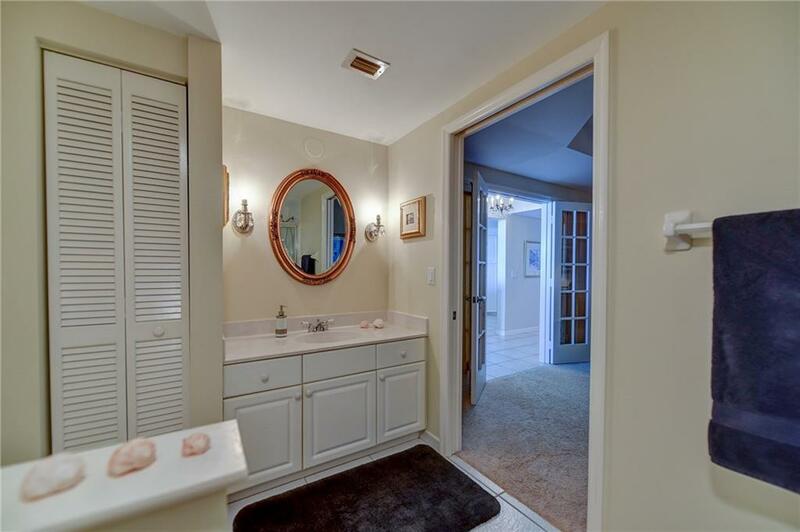 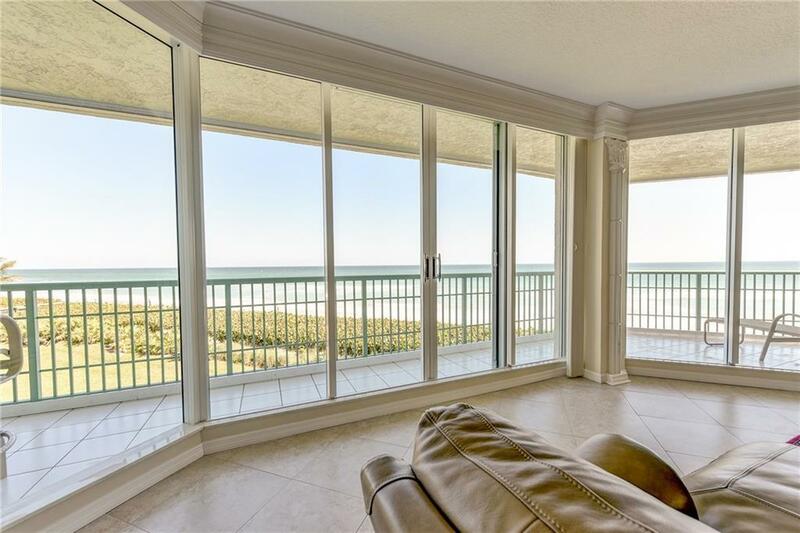 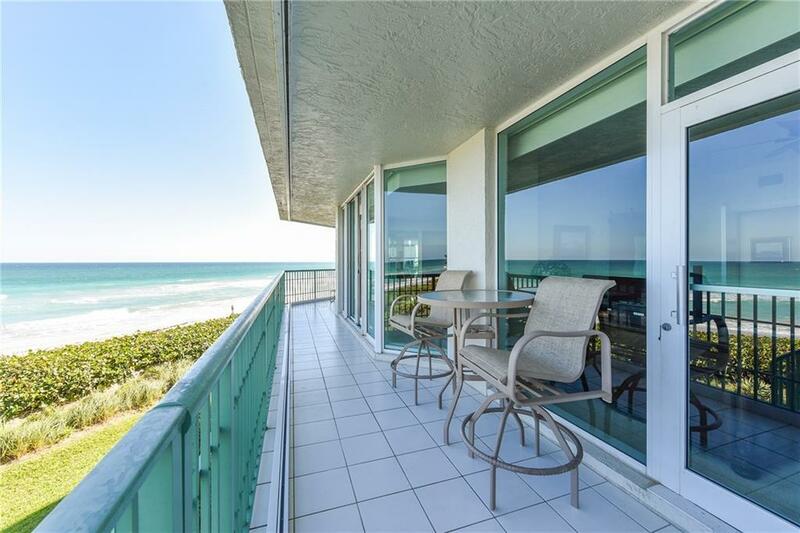 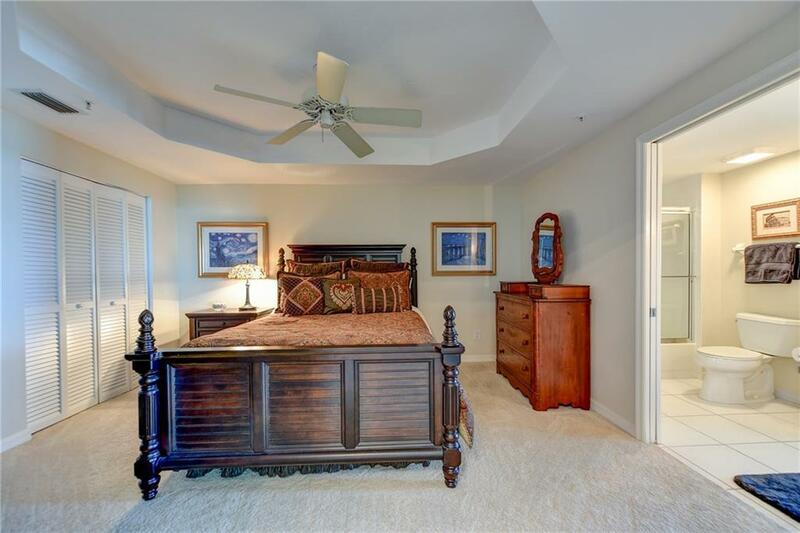 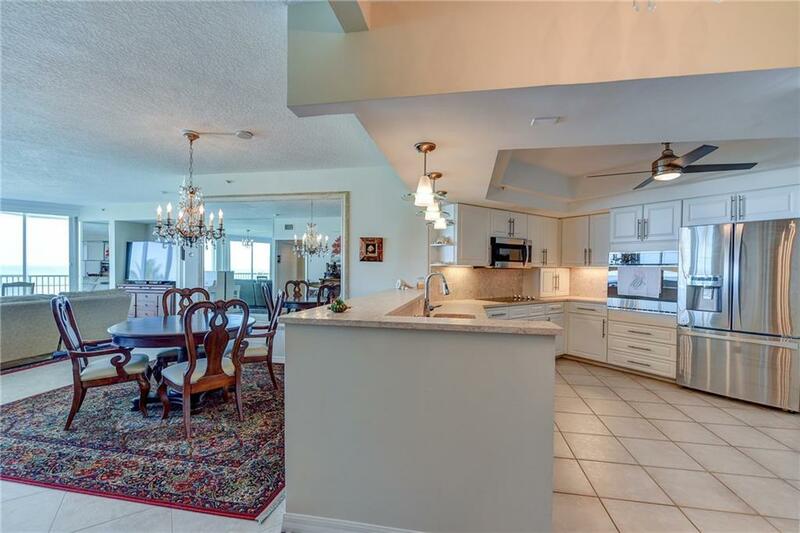 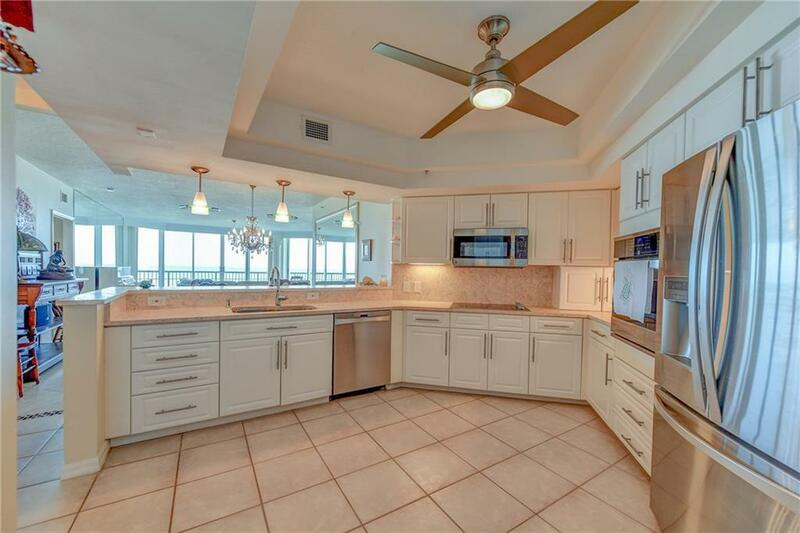 JUST REDUCED!This is an immaculate & move-in condition 3 bedroom,2 bath sought after Brighton model condo at Regency Island Dunes I with 45' plus of oceanfront balcony.This 2nd floor condo has gorgeous panoramic views of the ocean & the beach with a spiral staircase walk-out for your pet One pet is allowed up to 45 lbs. 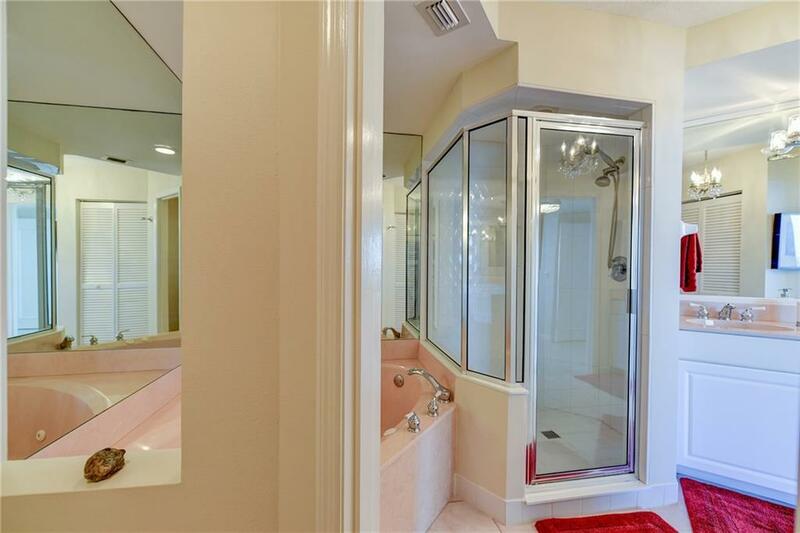 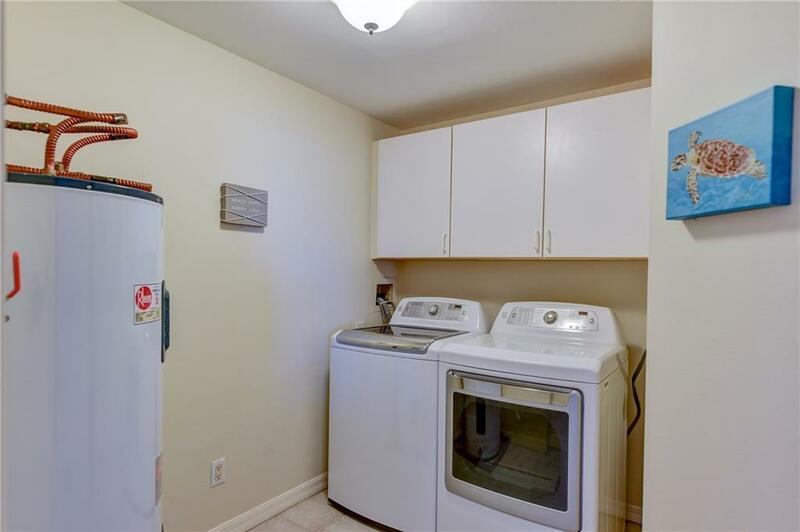 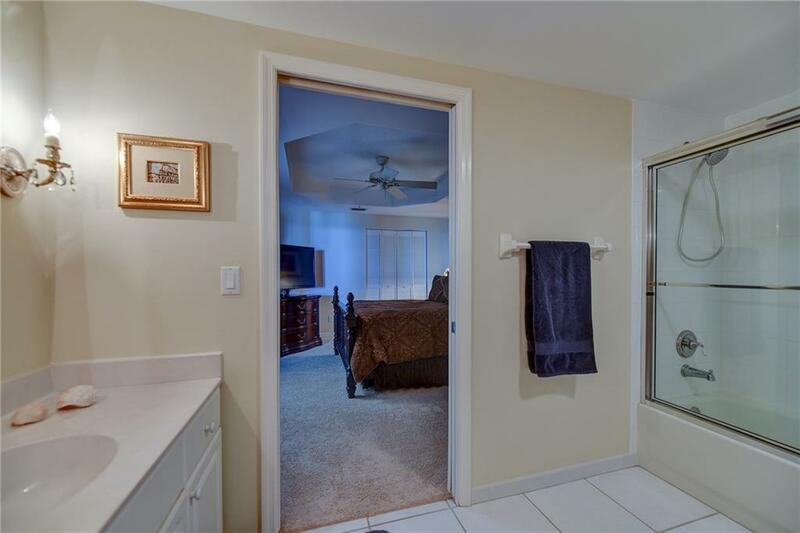 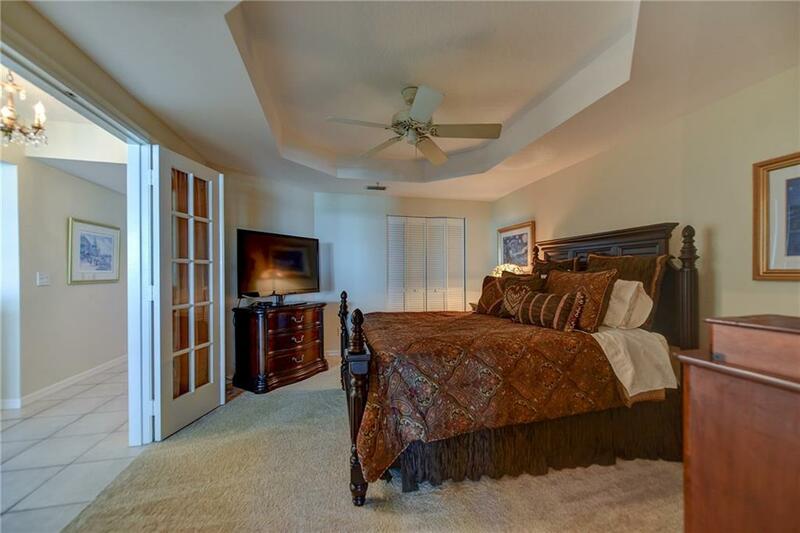 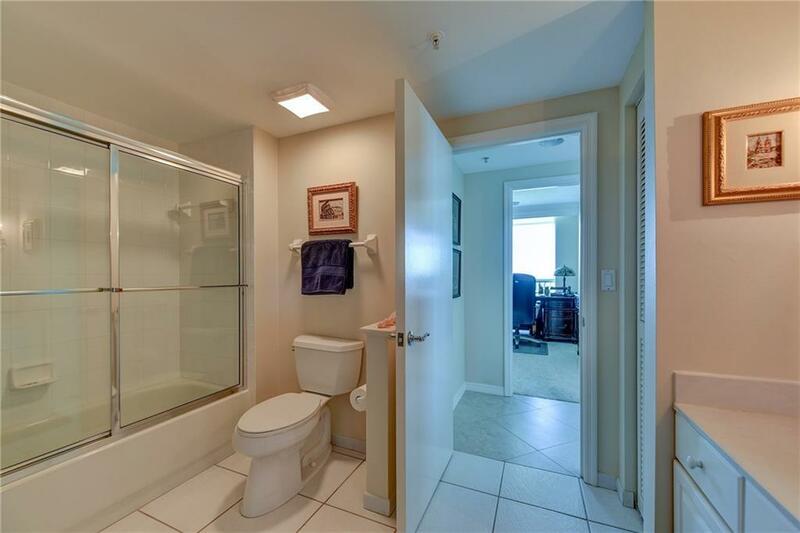 Diagonal tile in the living areas, carpet in the bedrooms, coquina style kitchen counters with stainless appliances, full sized laundry room, & accordian shutters. 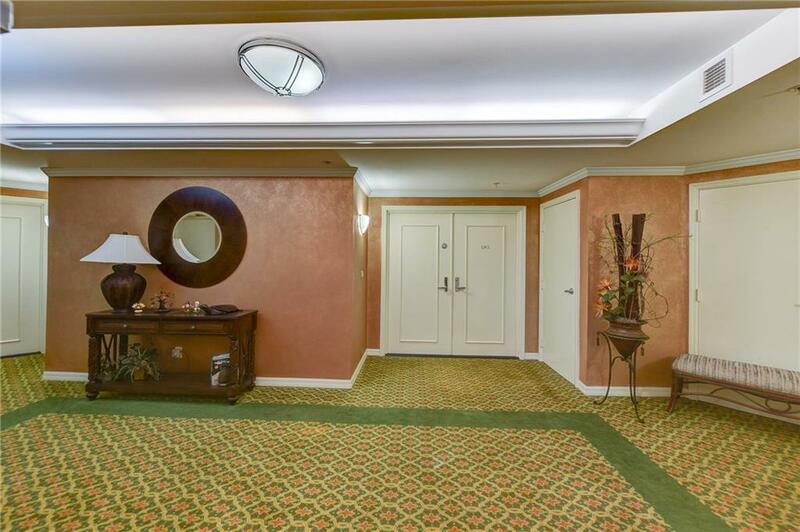 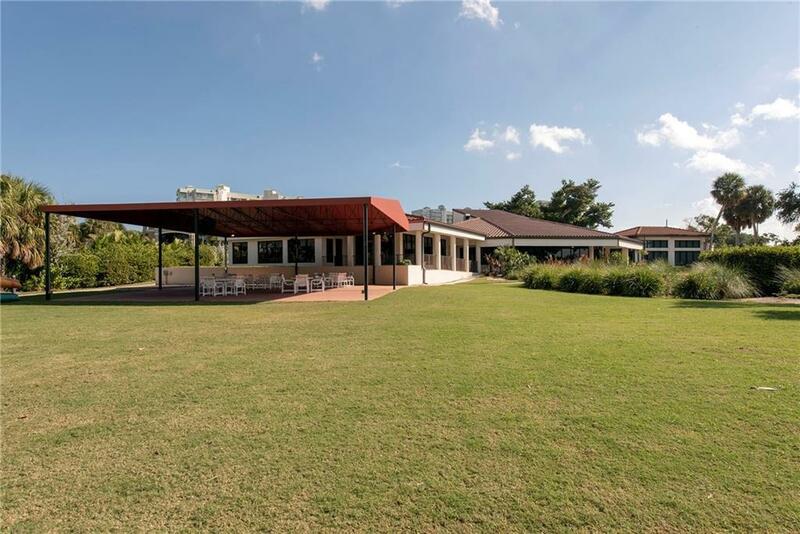 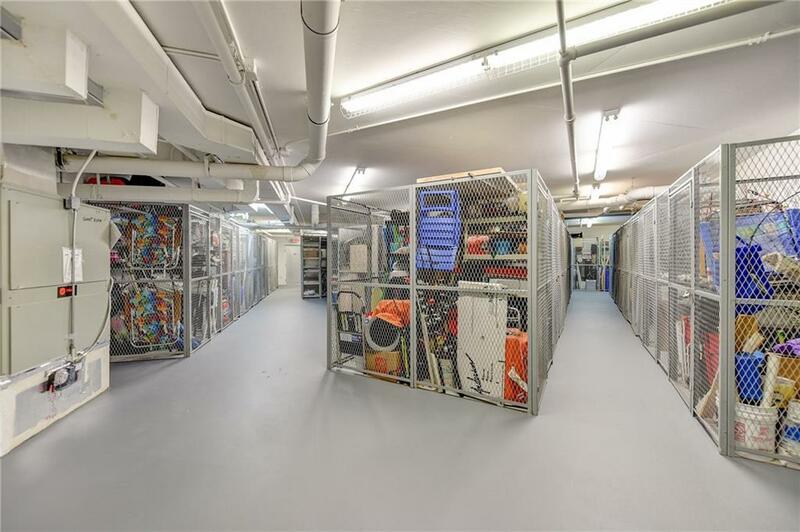 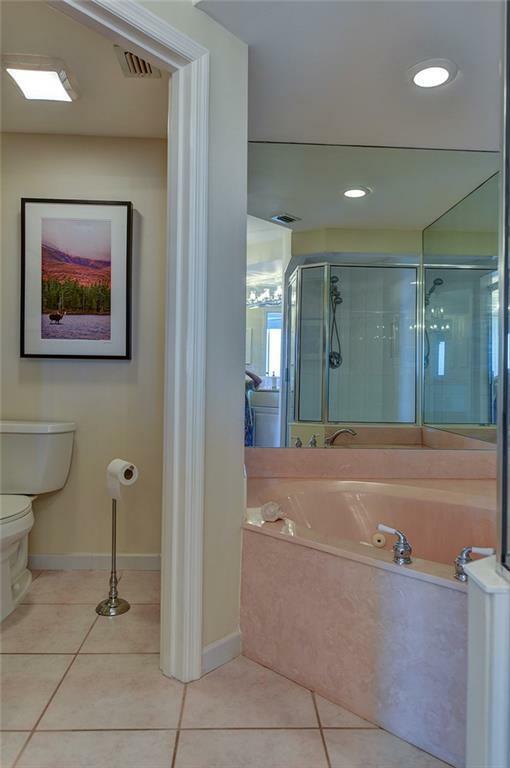 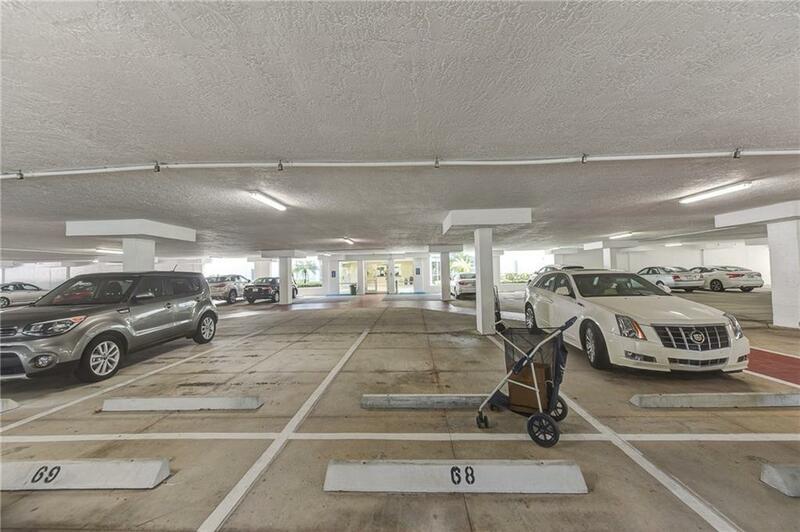 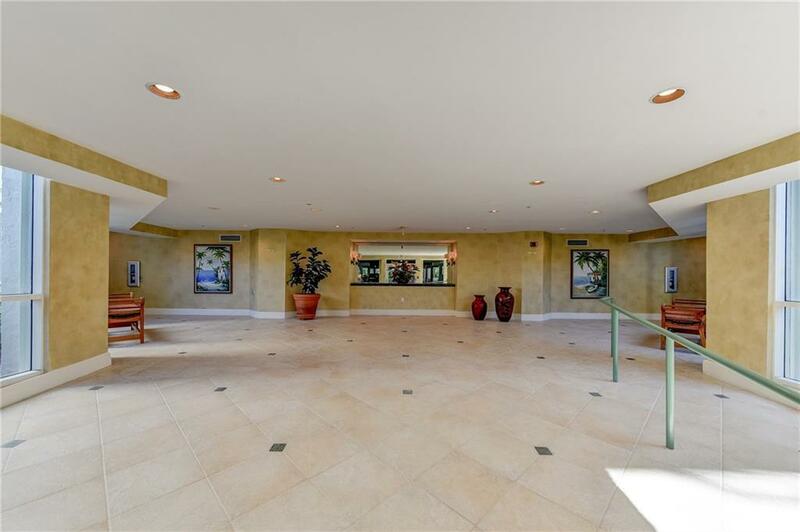 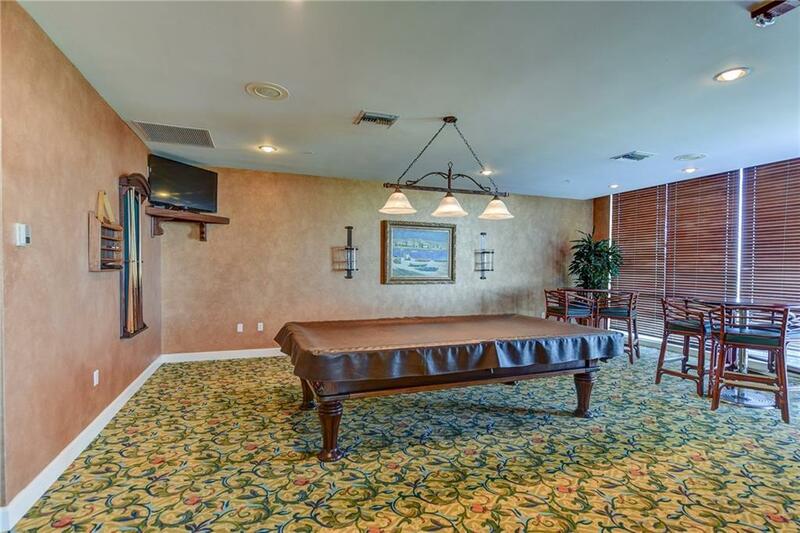 Under building assigned parking, extra storage area, fitness center, community room with kitchen, library, game room with billiards table, BBQ's, & community heated pool & spa. 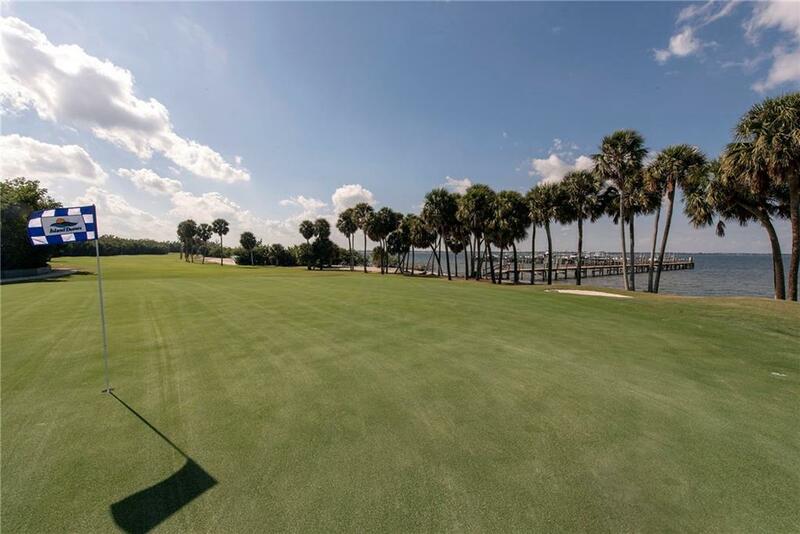 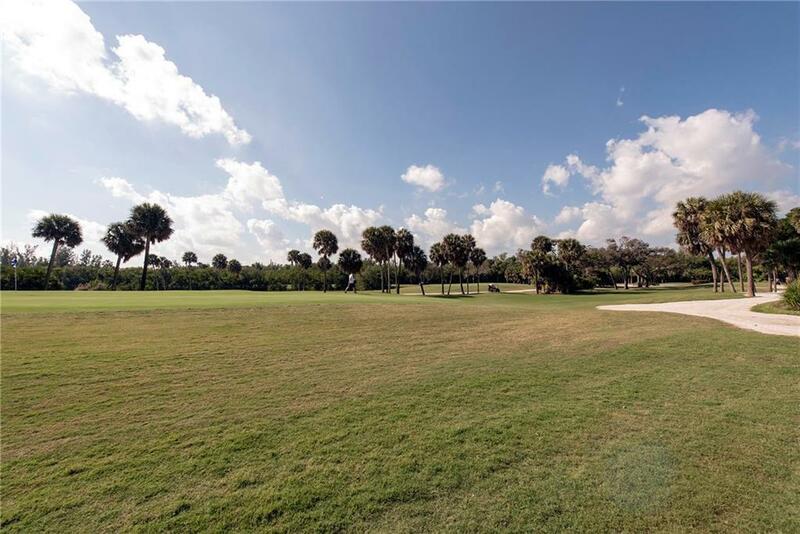 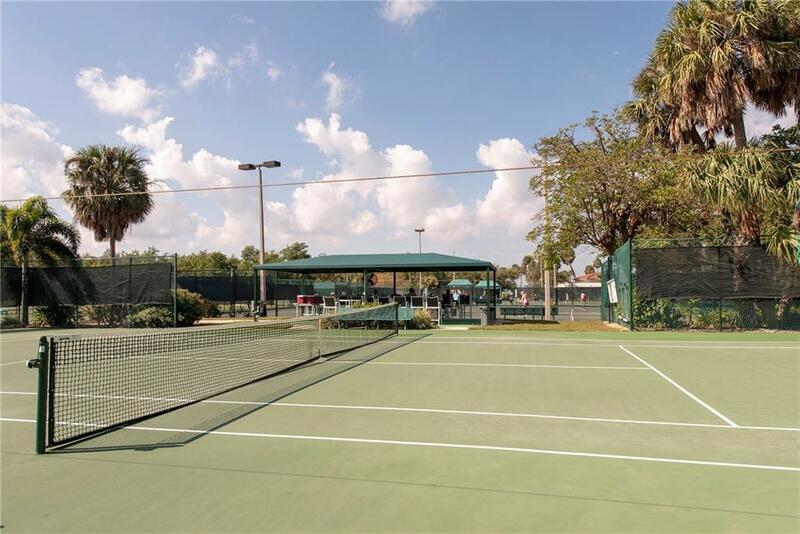 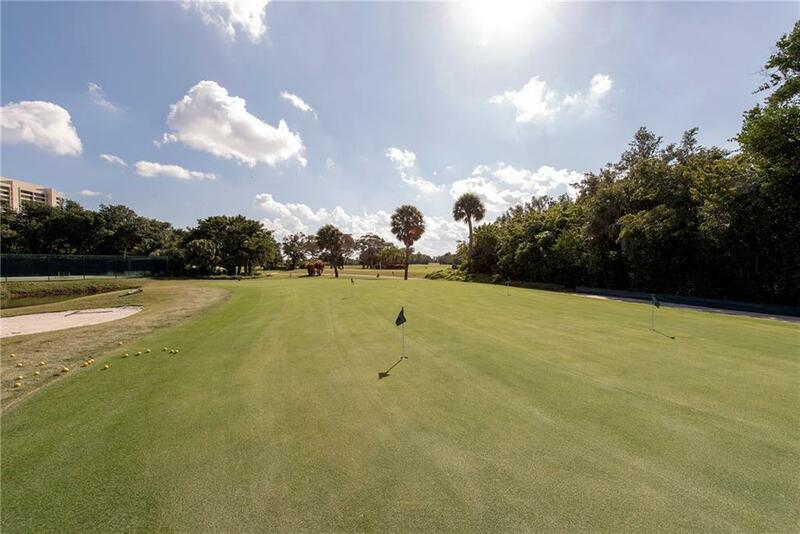 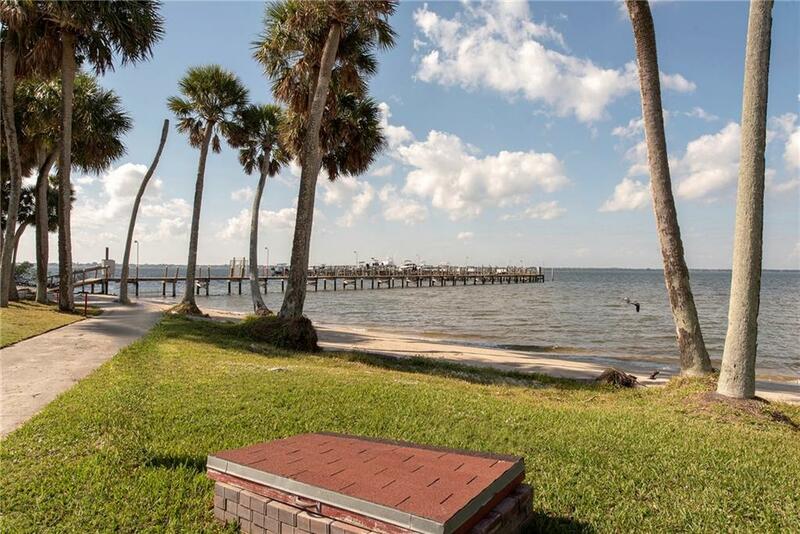 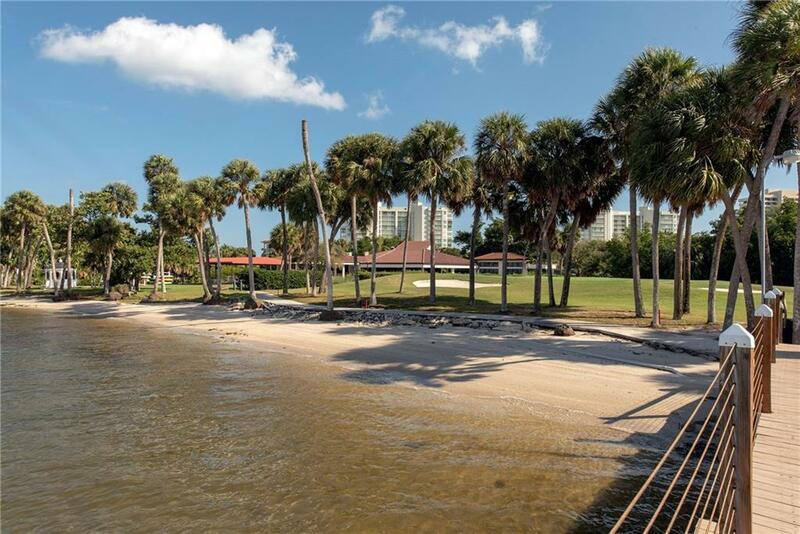 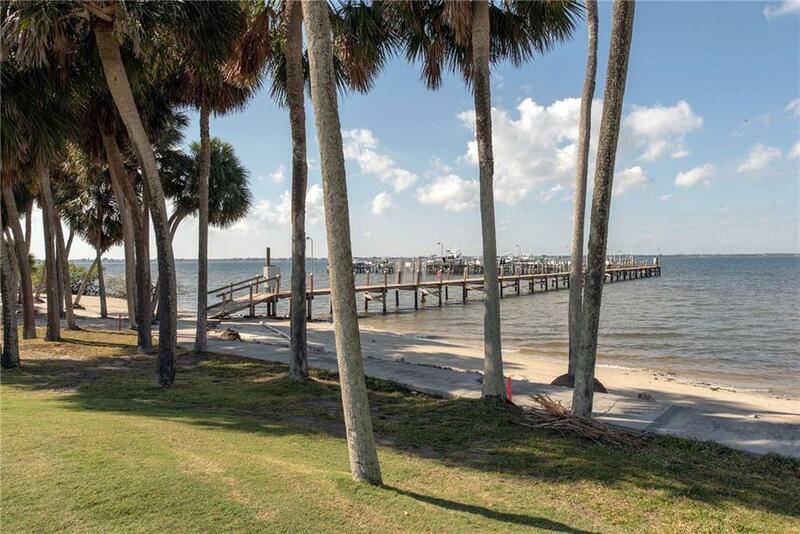 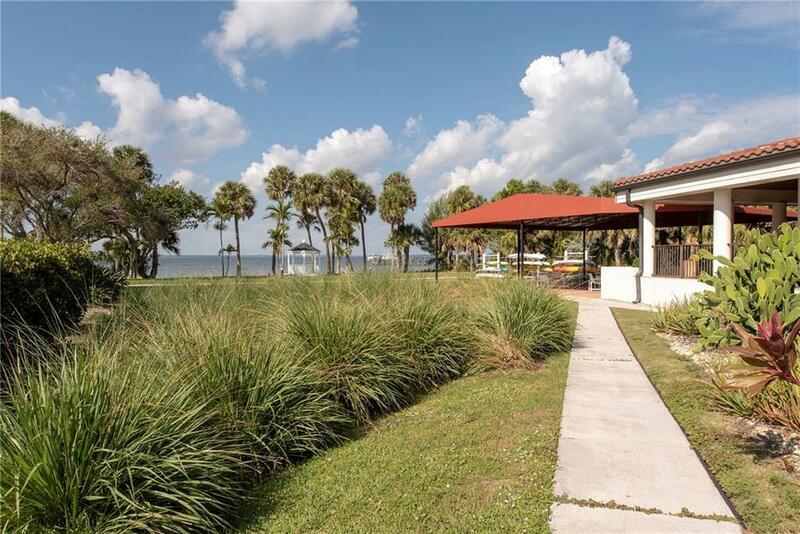 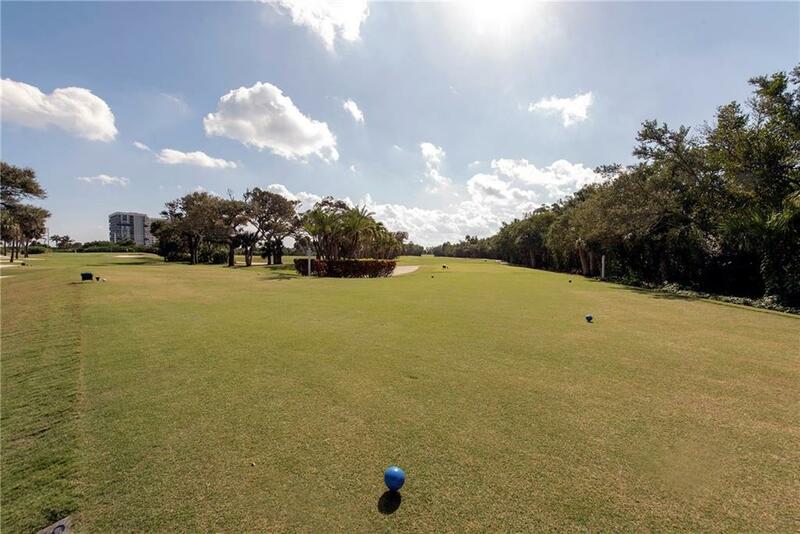 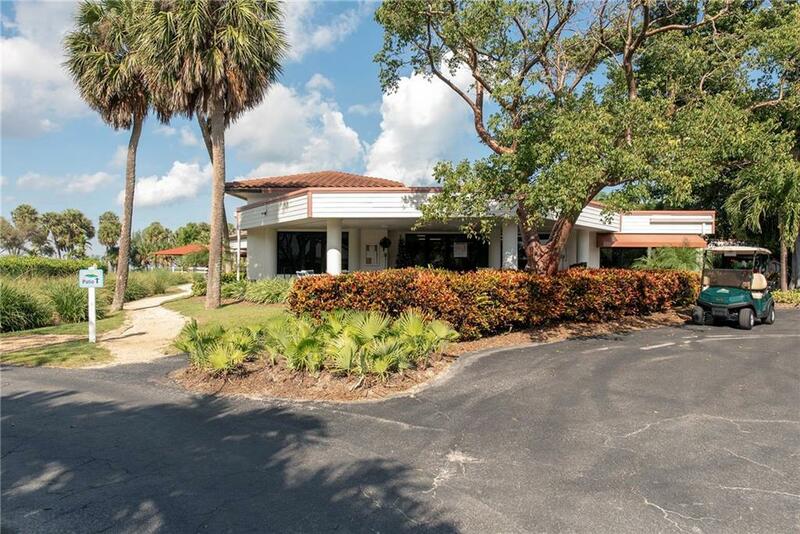 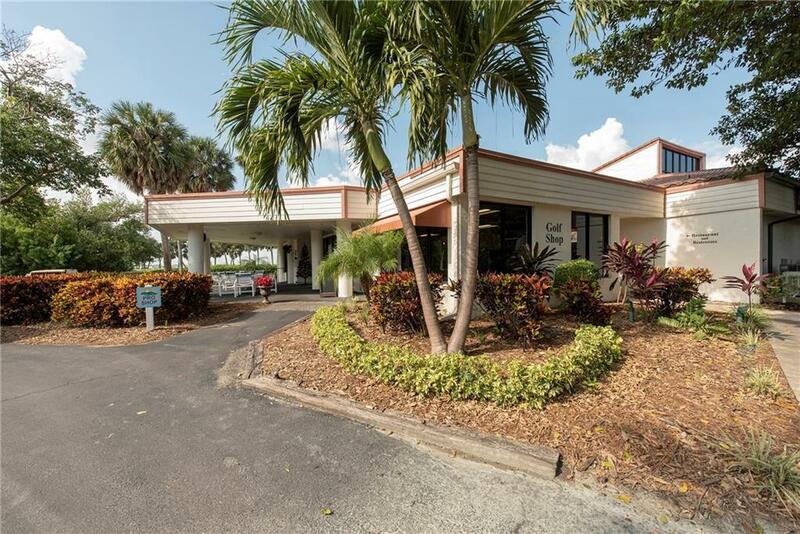 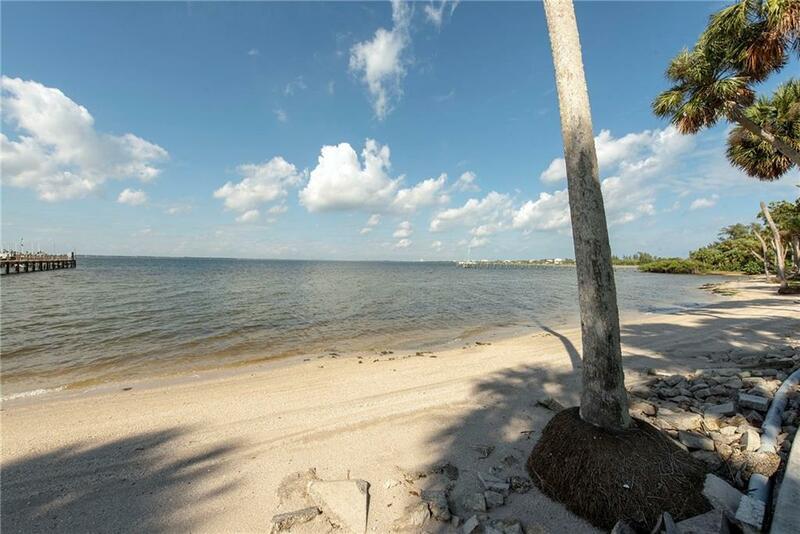 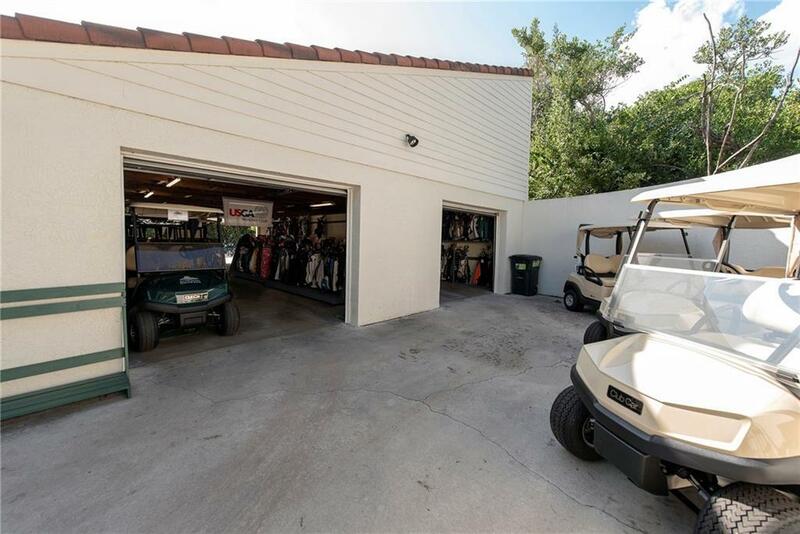 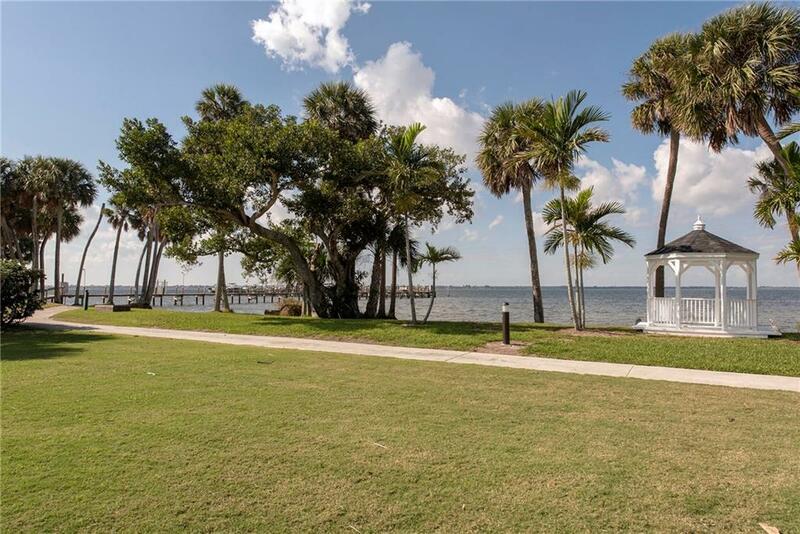 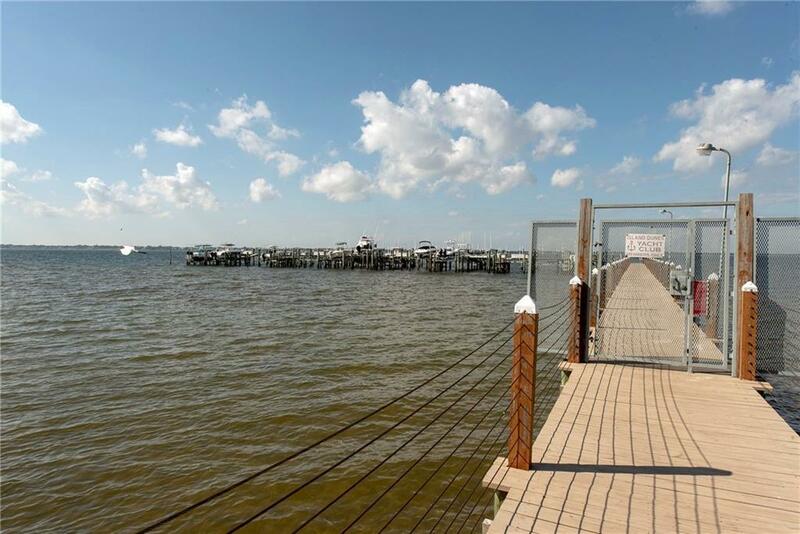 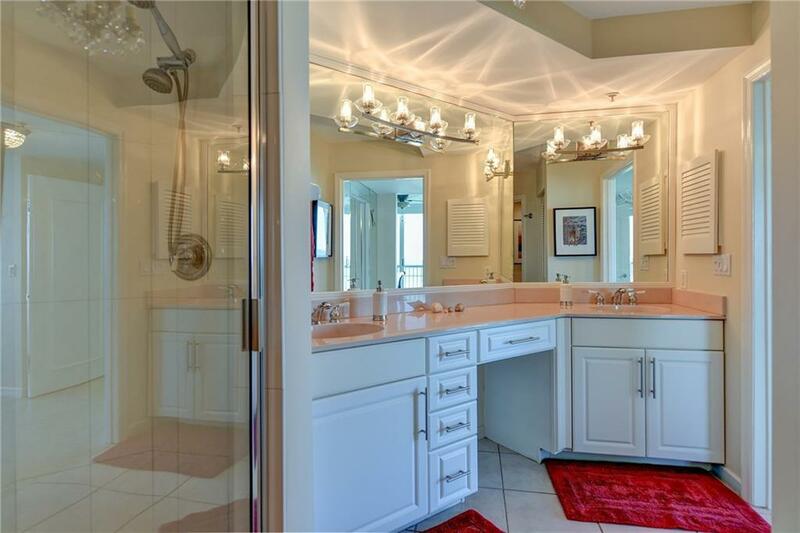 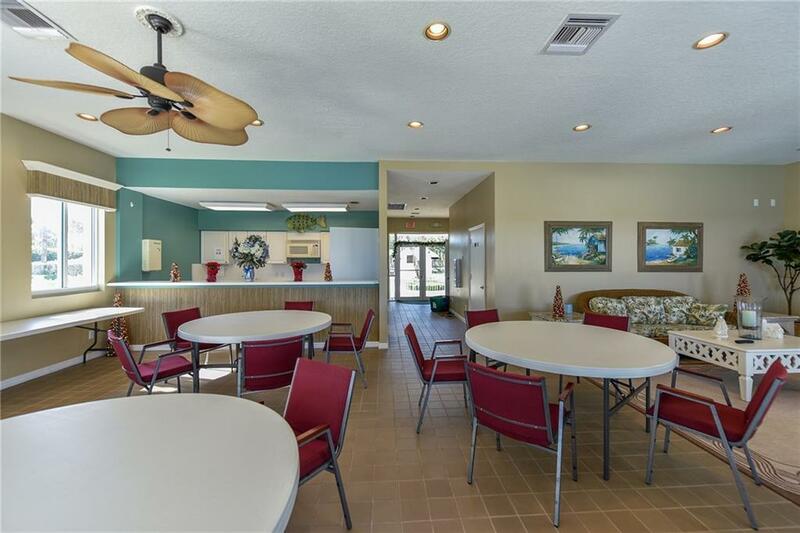 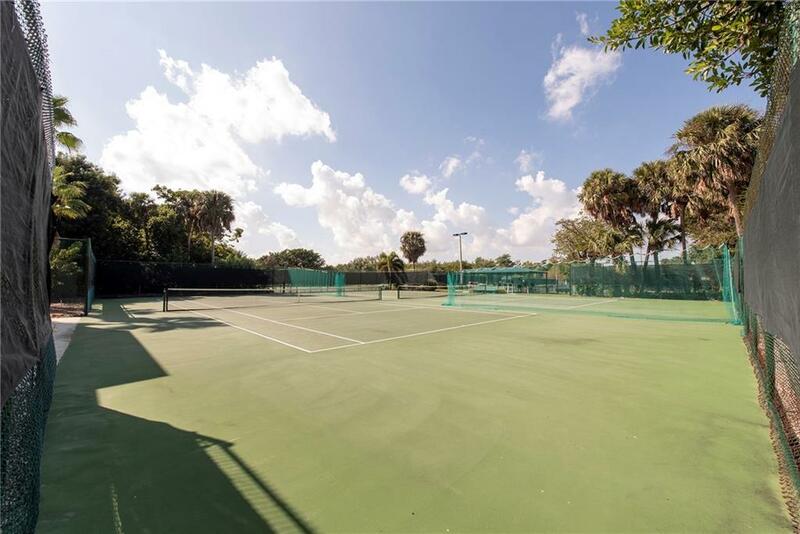 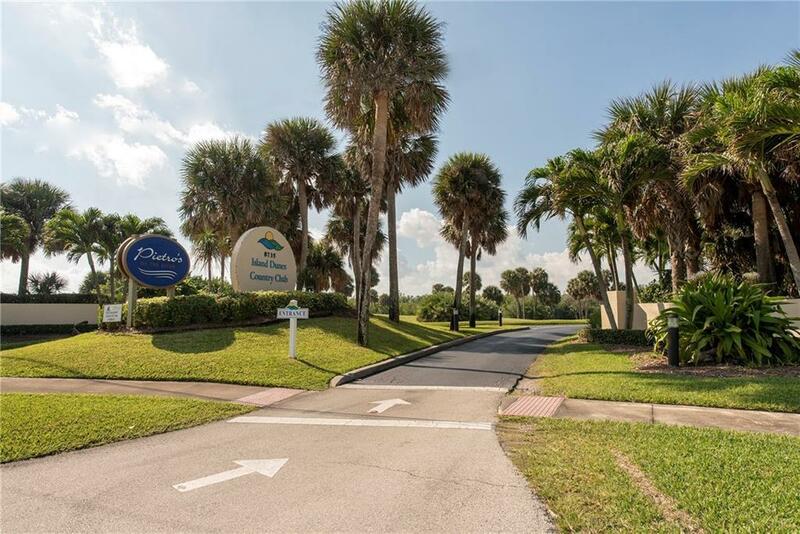 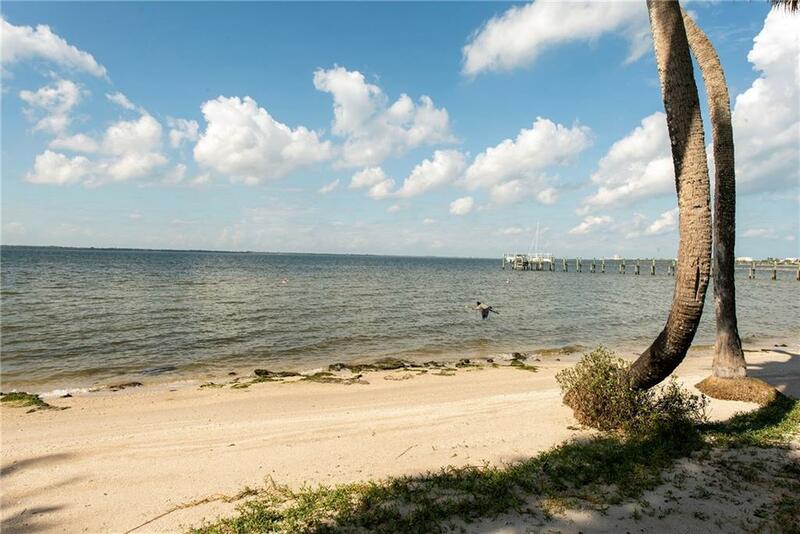 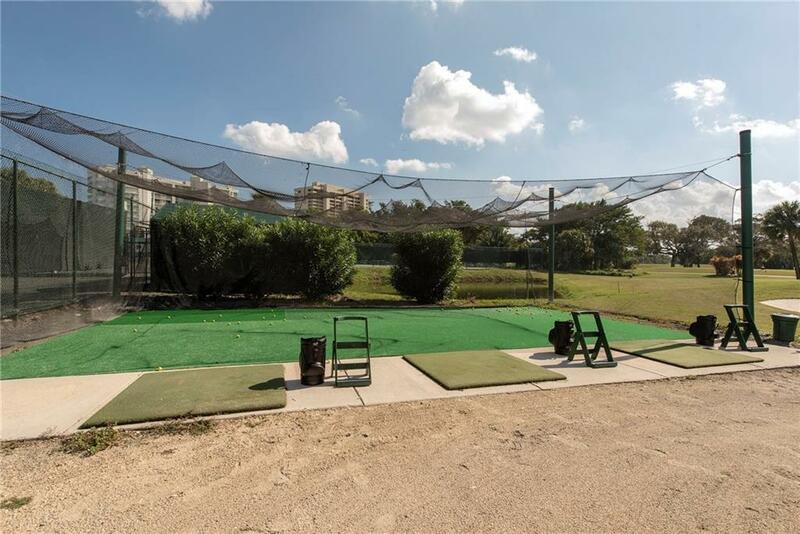 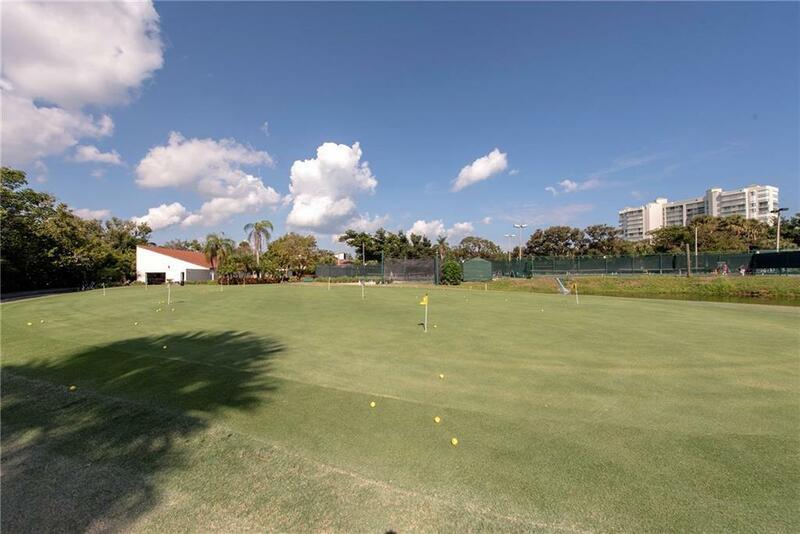 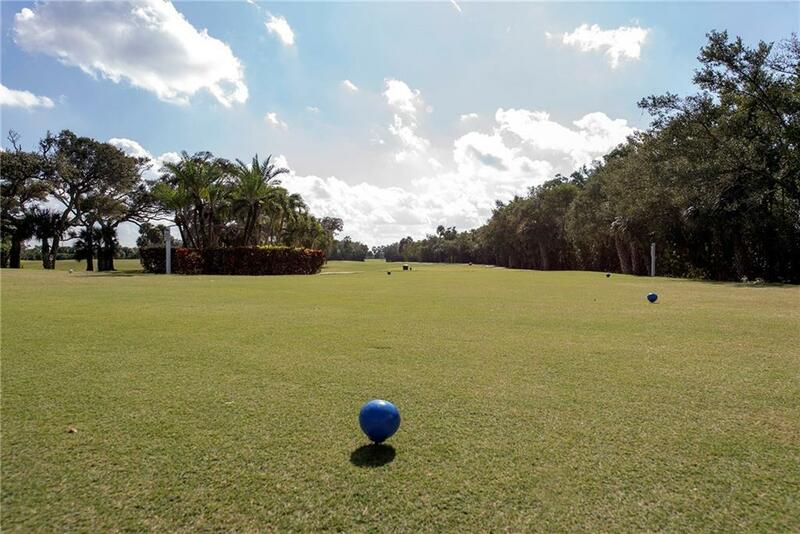 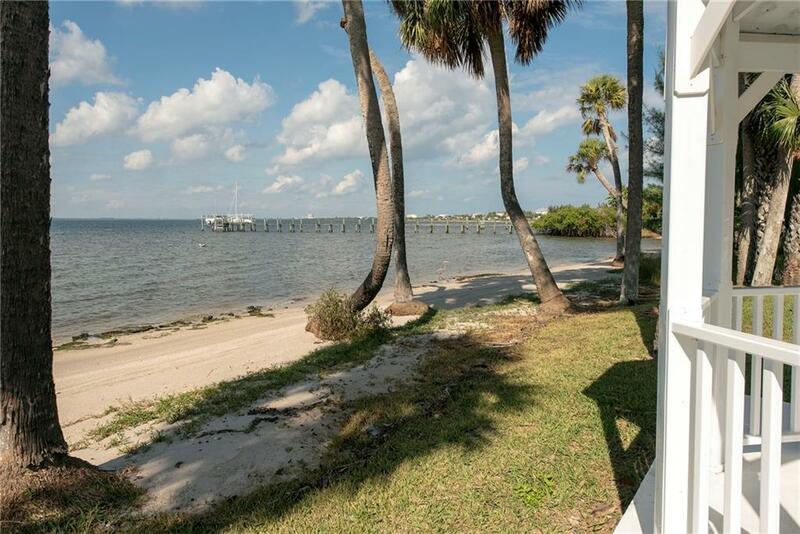 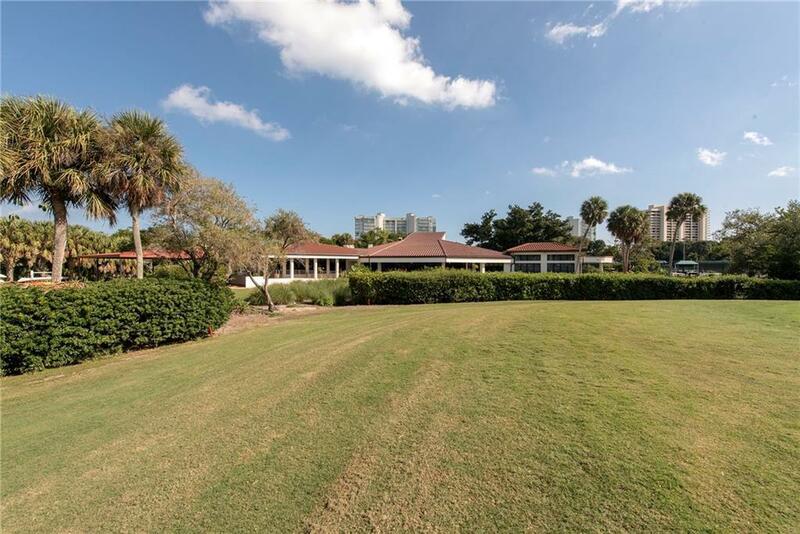 Across the street on the Indian River/Intracoastal is a 9 hole golf course along with tennis courts & a pro shop belonging to Island Dunes Golf & CC, all included with the quarterly maintenance fee. 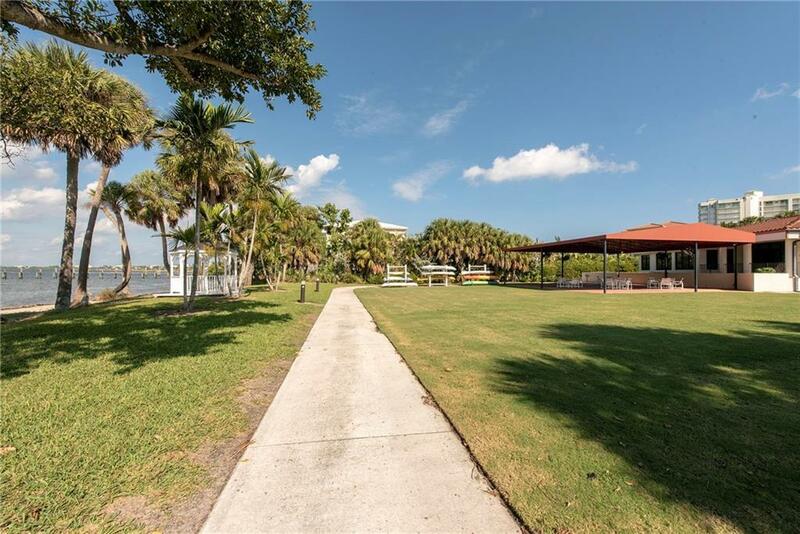 Pietro's on the River, which is a gourmet full service restaurant/bar, is also located across the street with fabulous Intracoastal views.